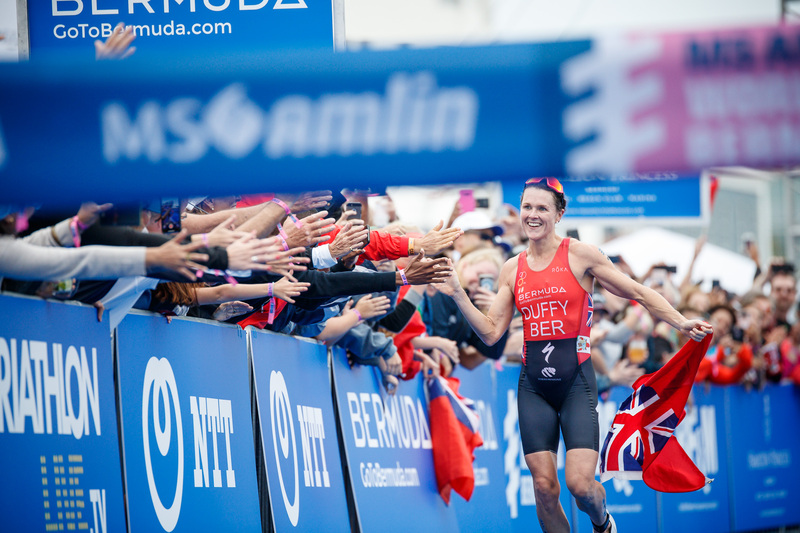 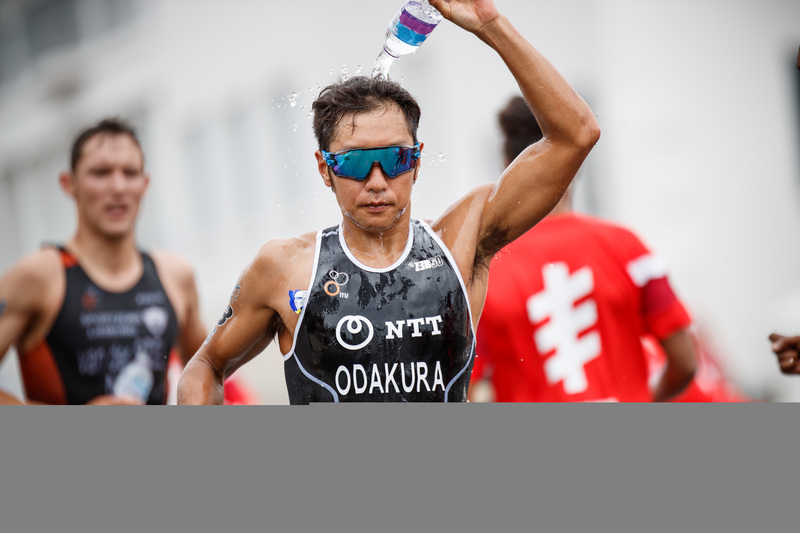 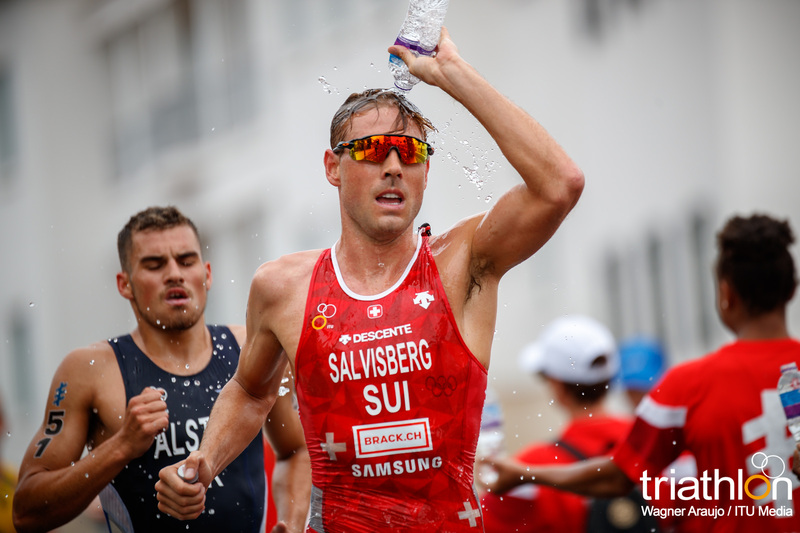 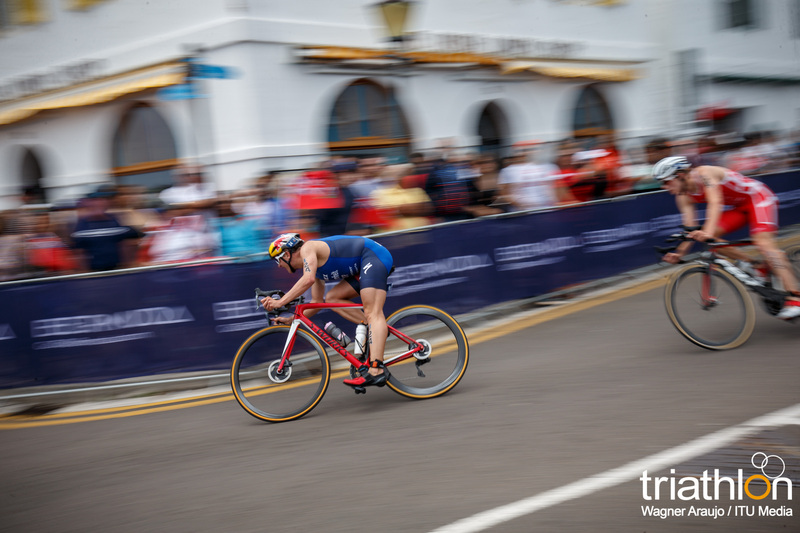 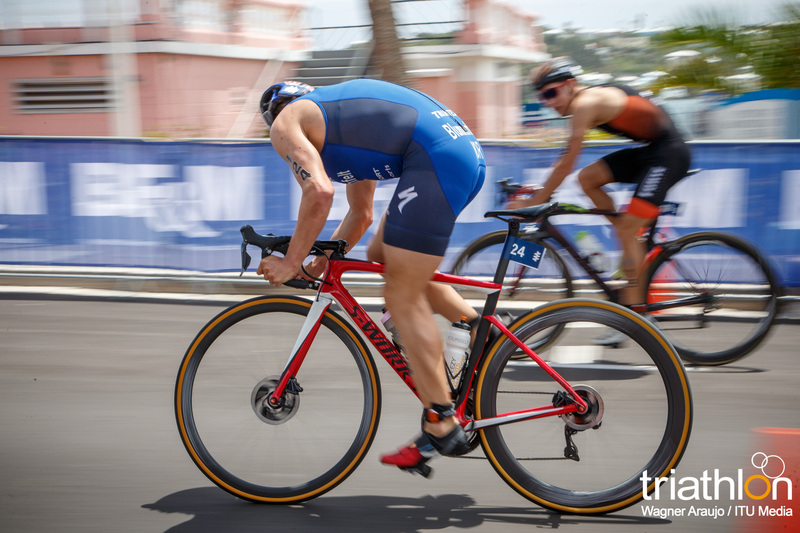 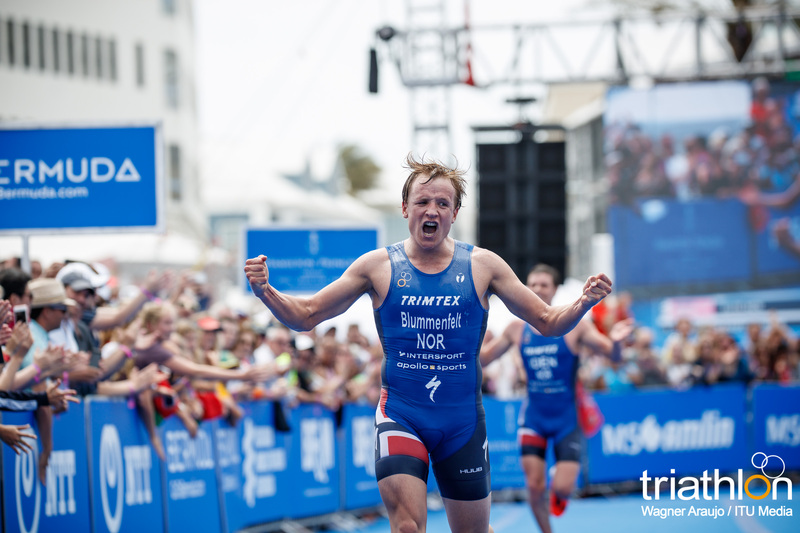 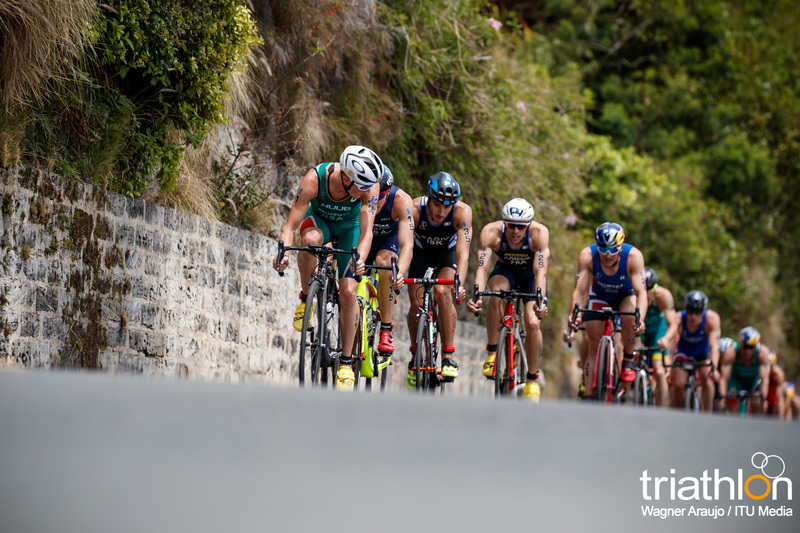 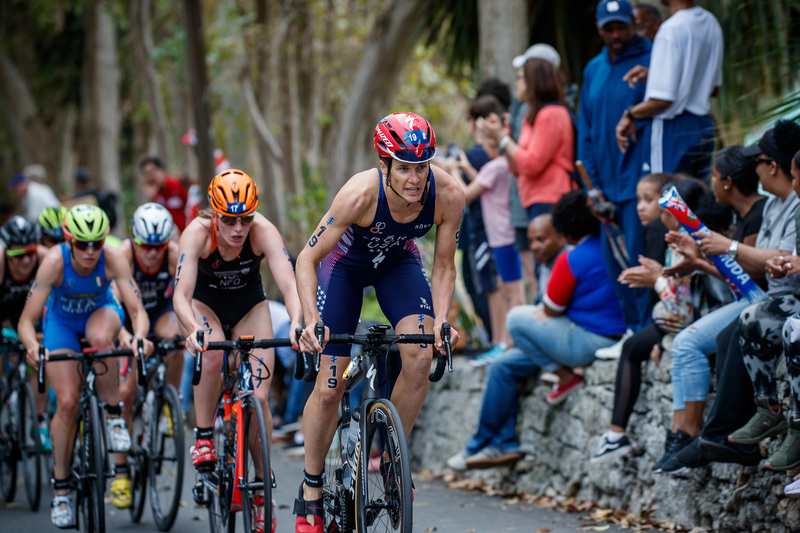 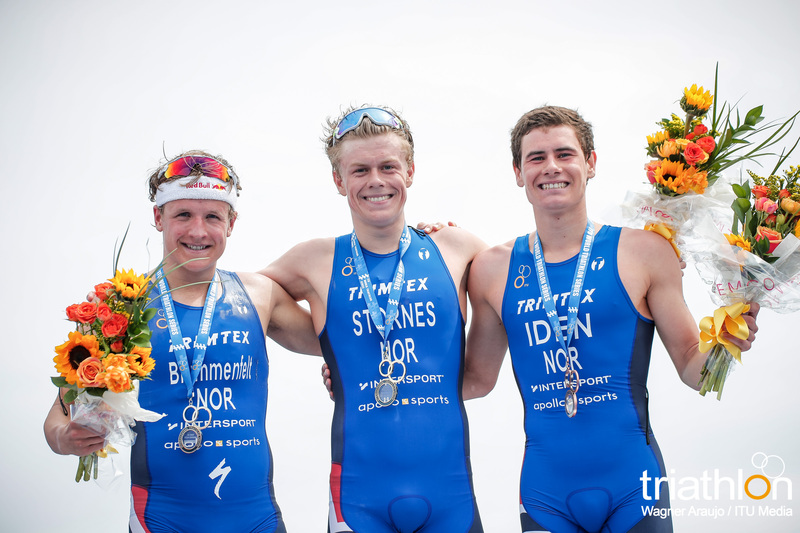 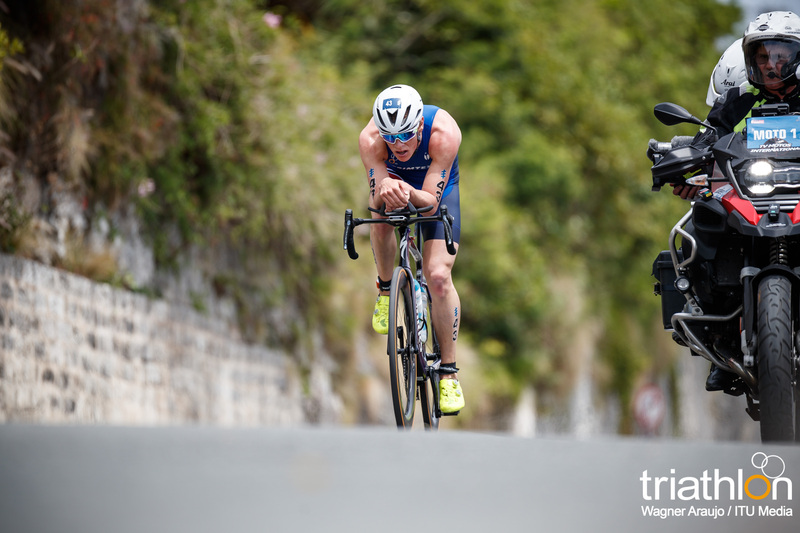 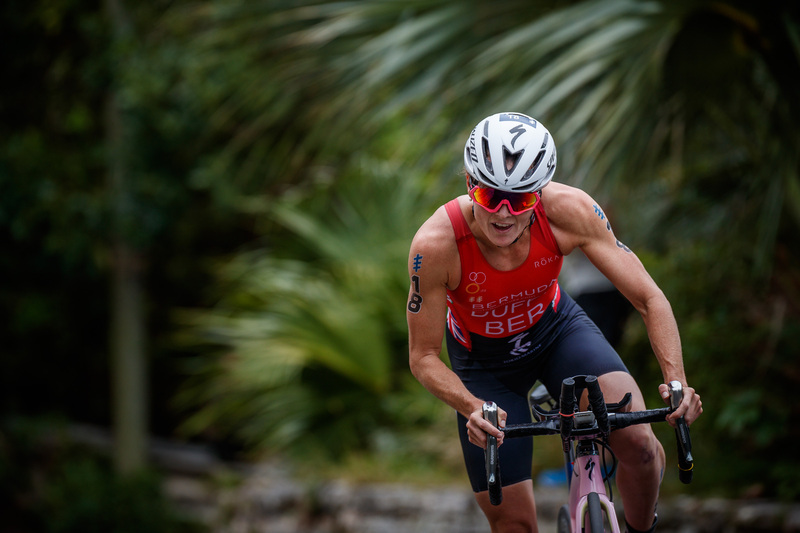 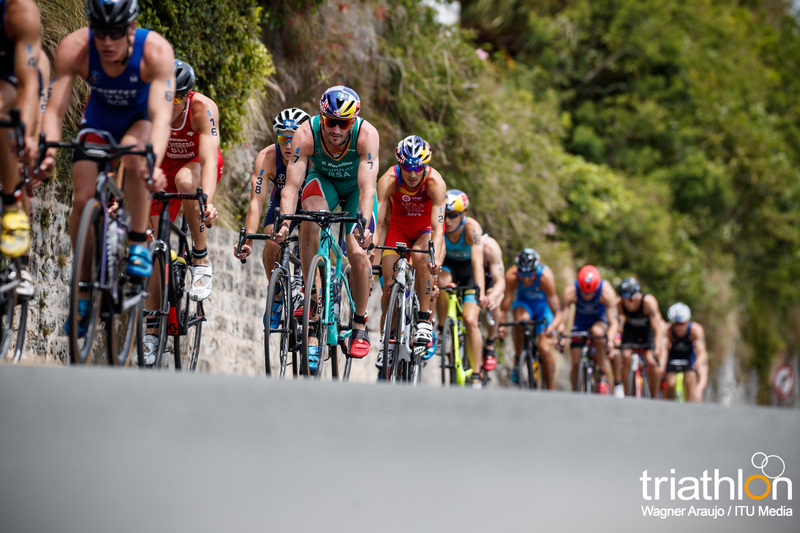 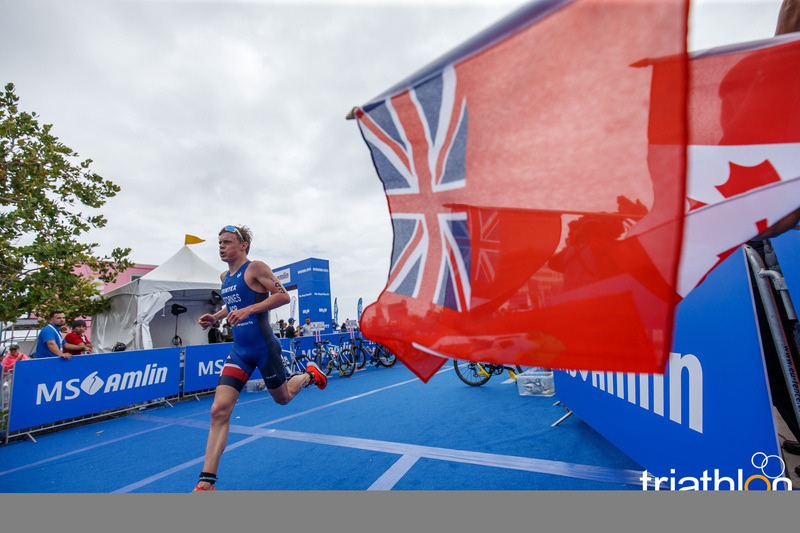 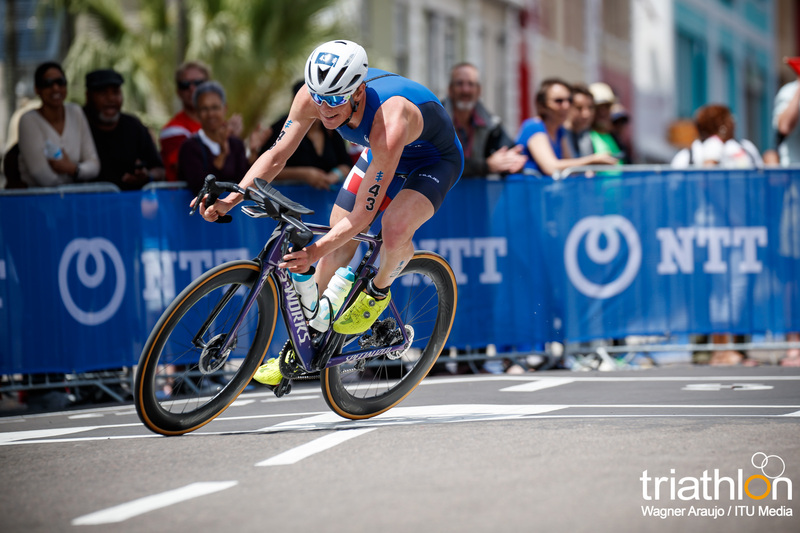 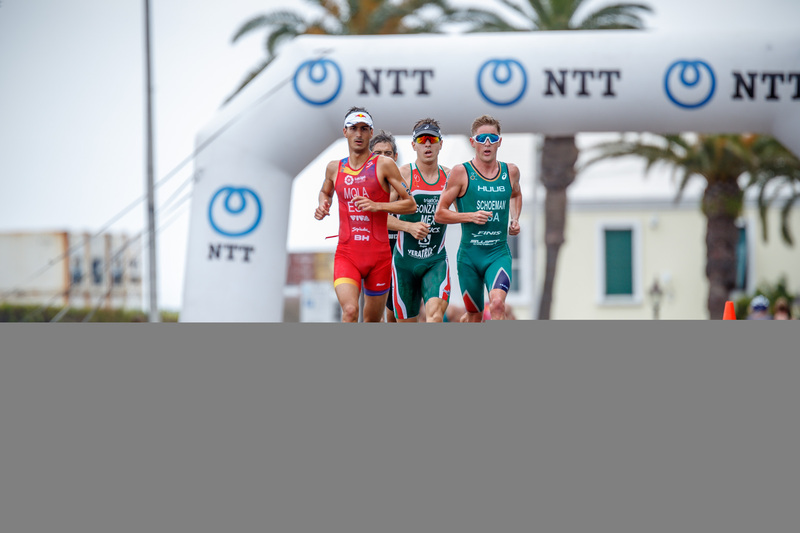 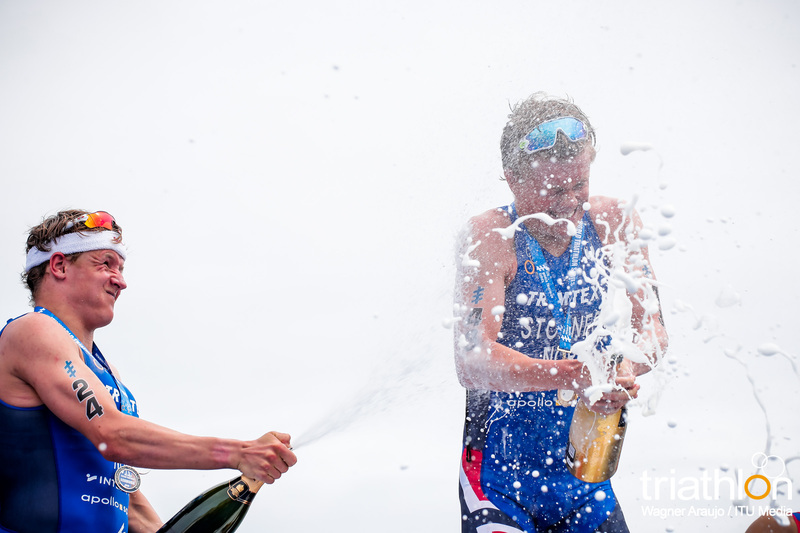 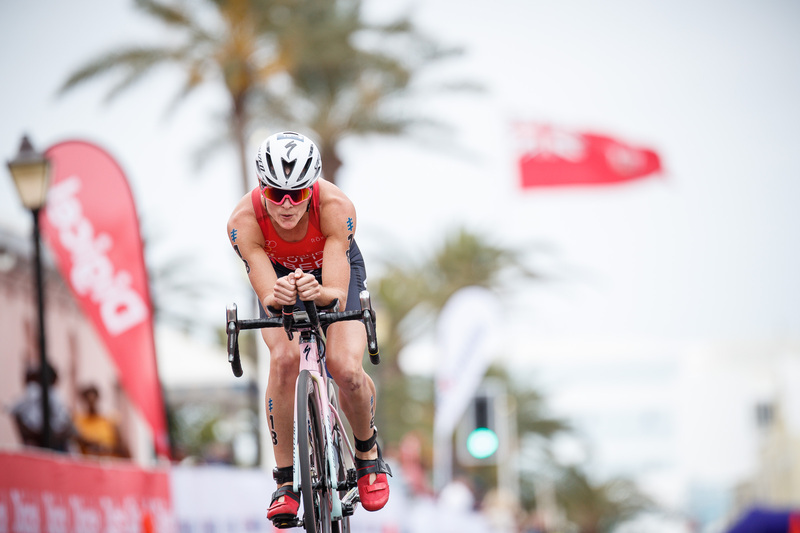 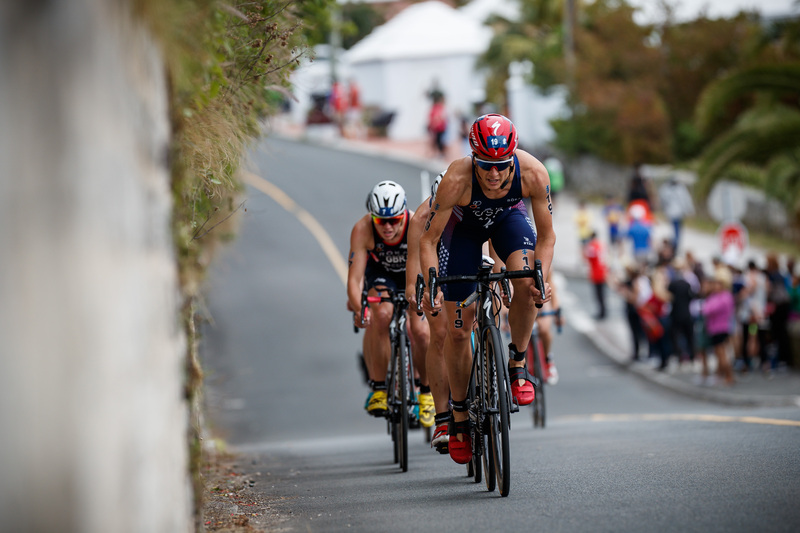 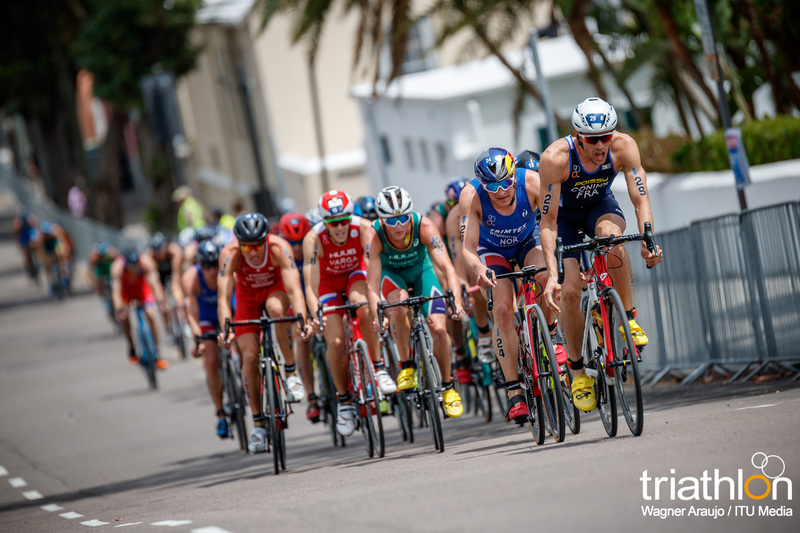 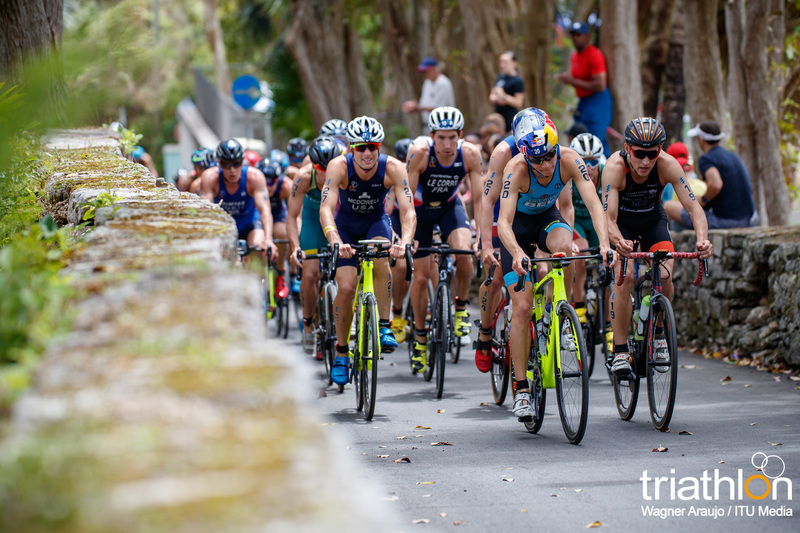 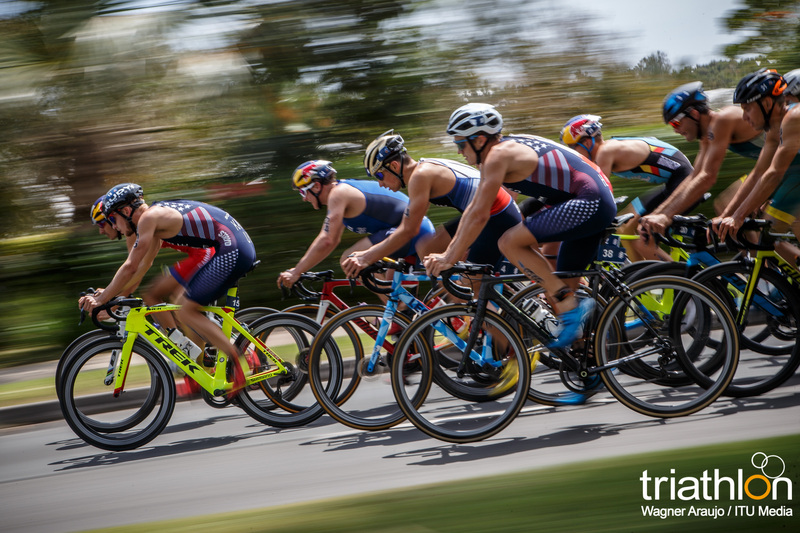 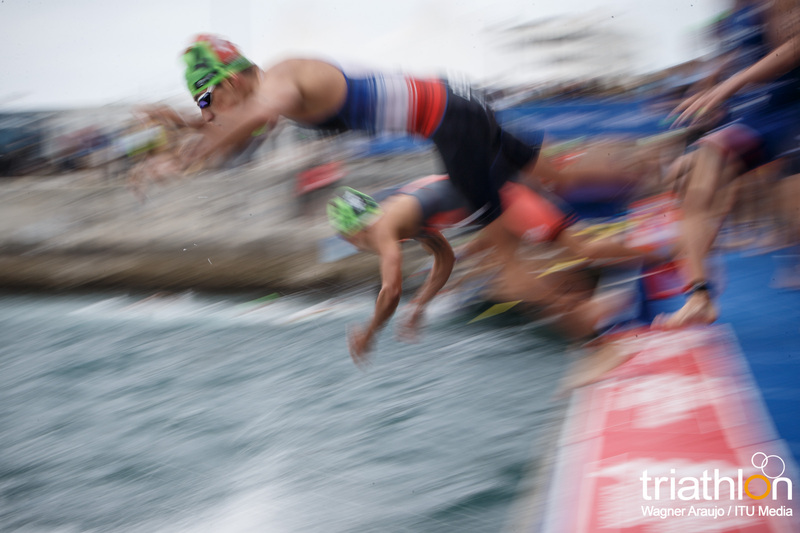 It was to be a historic day for triathlon as the debut 2018 MS Amlin World Triathlon Bermuda saw Norway become the first team in the history of WTS racing to take all three places on the men’s podium. 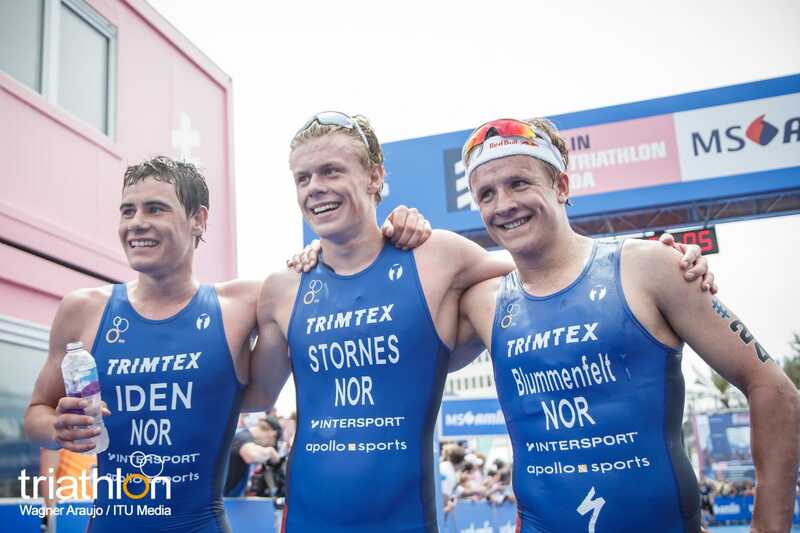 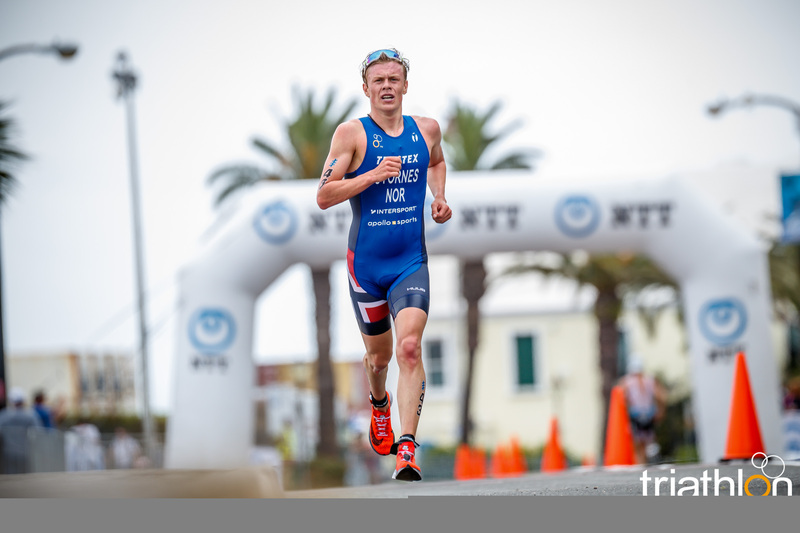 In only the third WTS elite race of his career, Casper Stornes (NOR) dominated the field on route to gold, compatriots Kristian Blummenfelt and Gustav Iden powering through to collect silver and bronze respectively and complete the clean sweep. 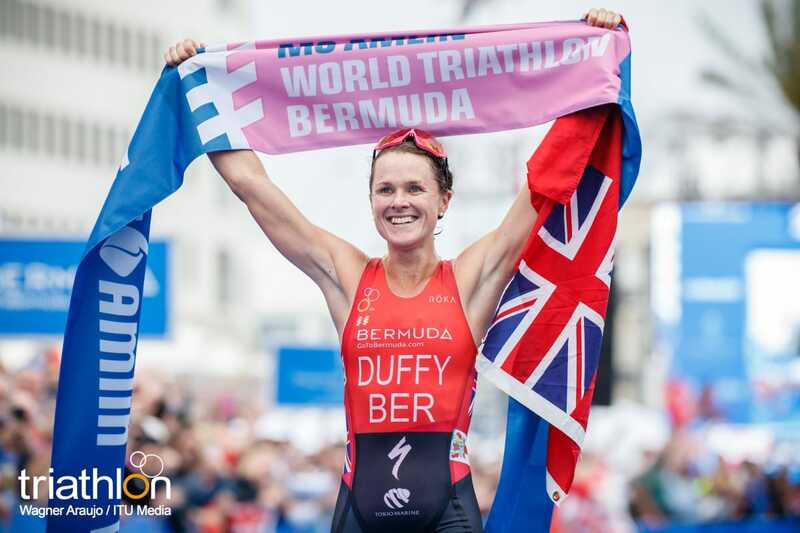 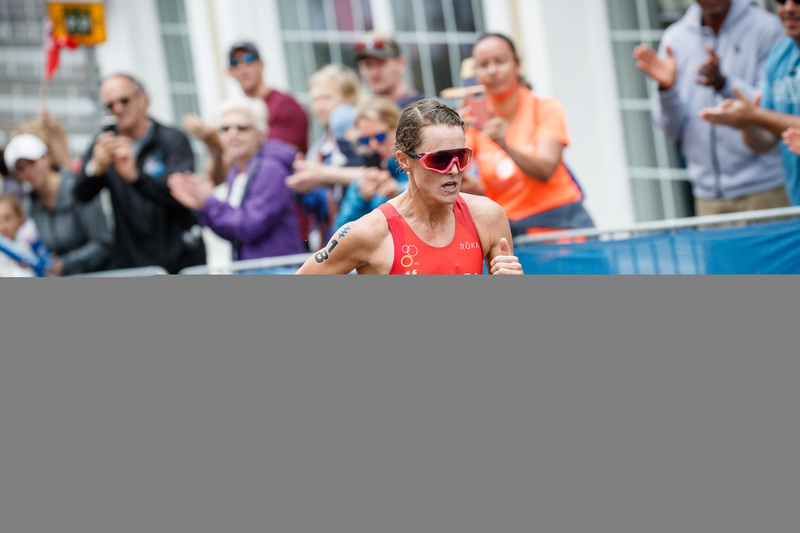 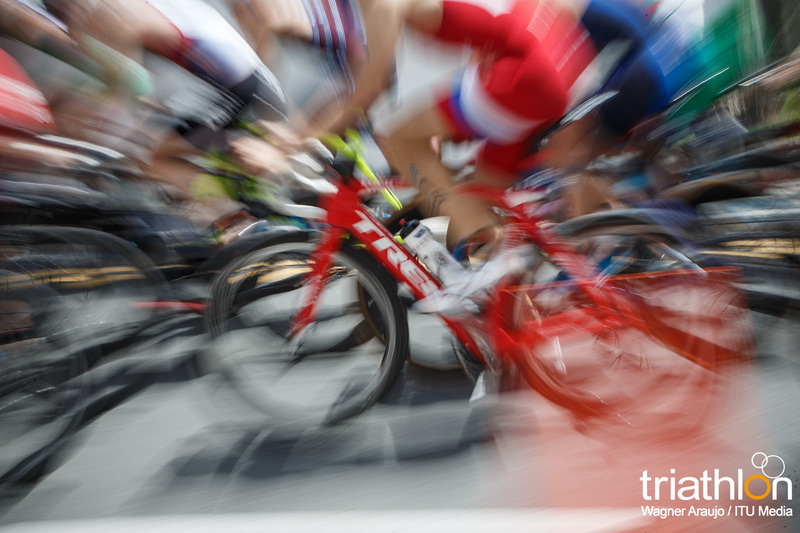 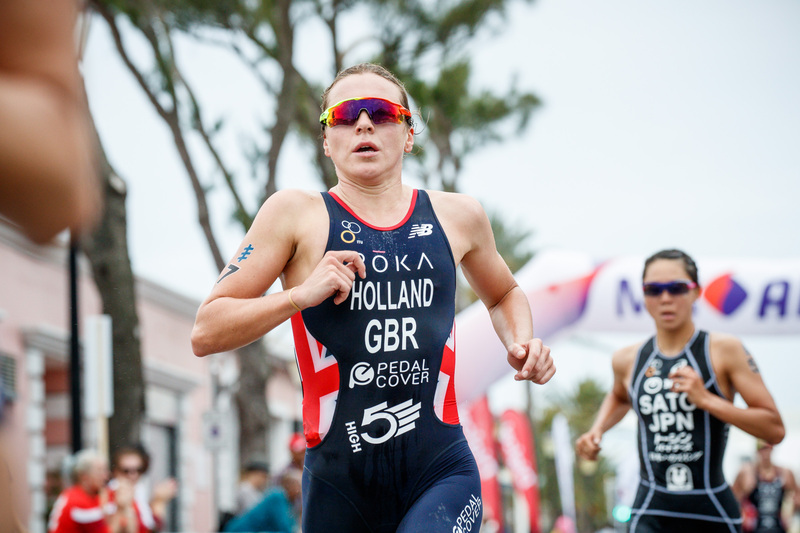 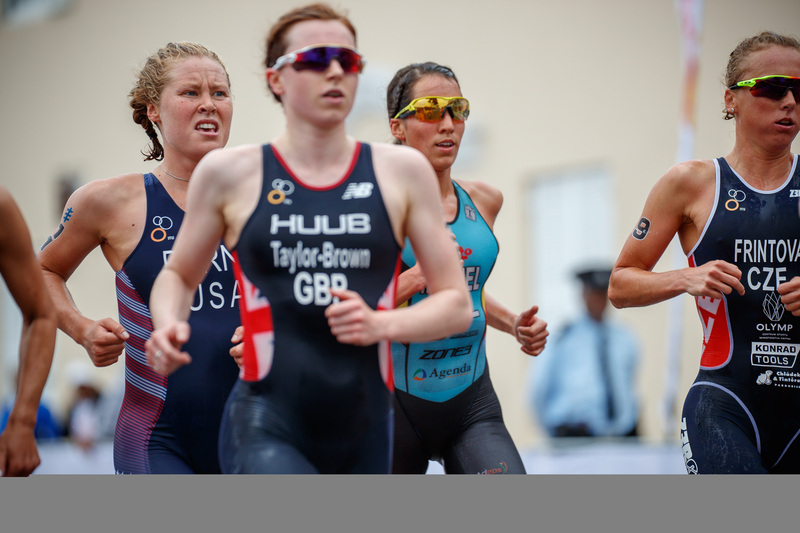 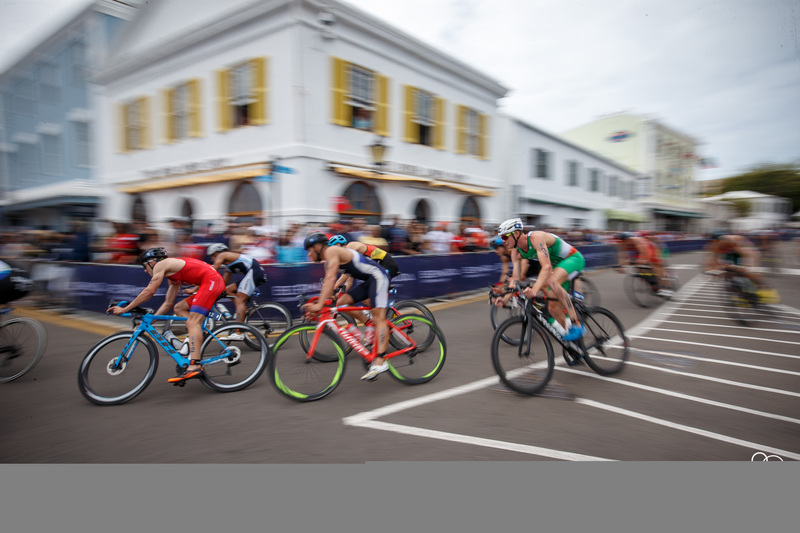 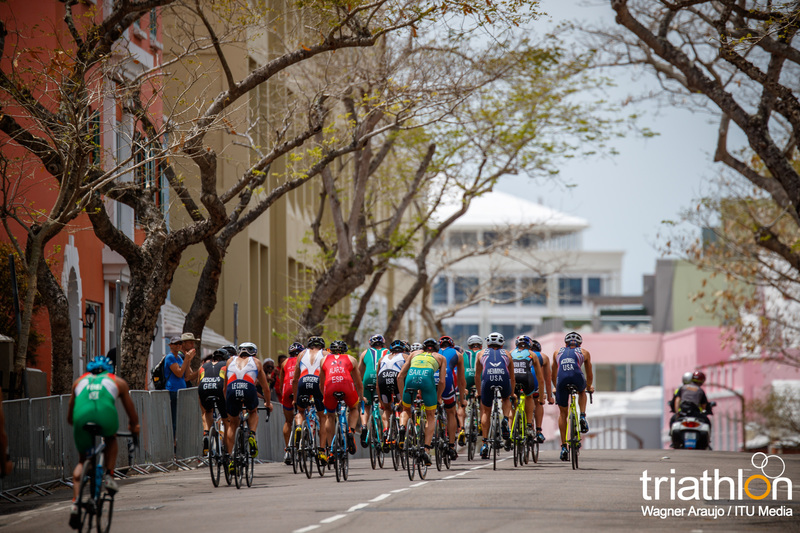 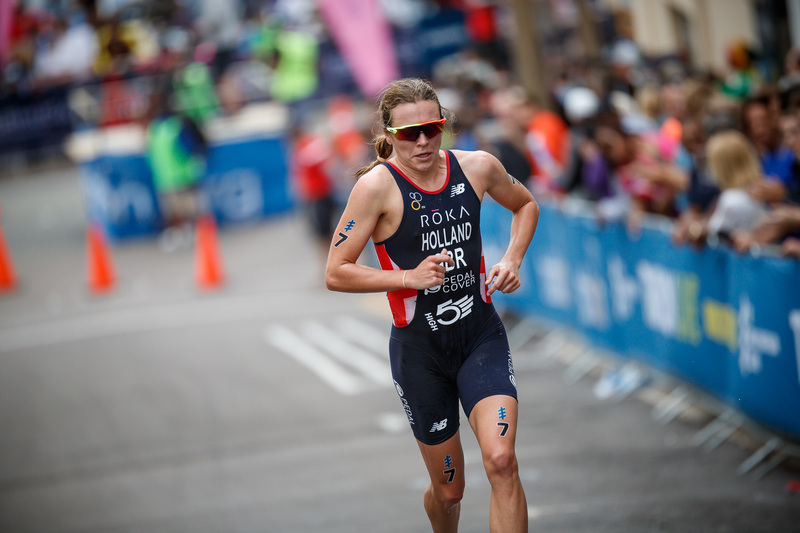 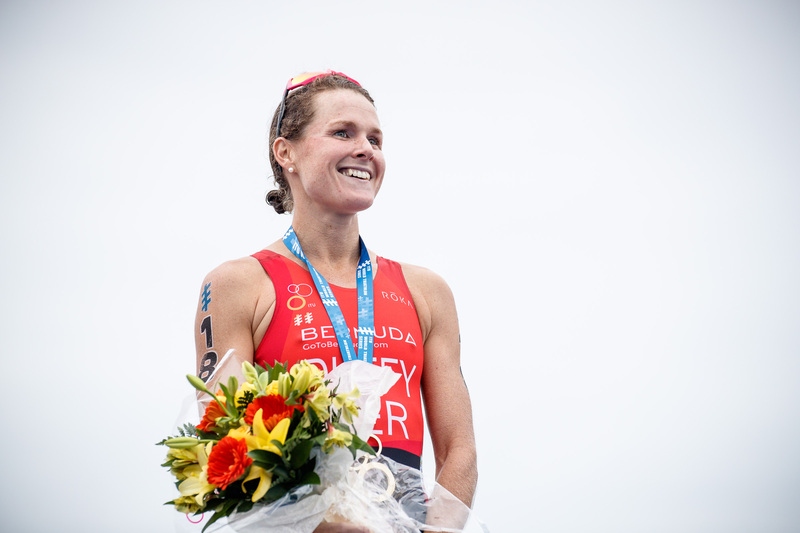 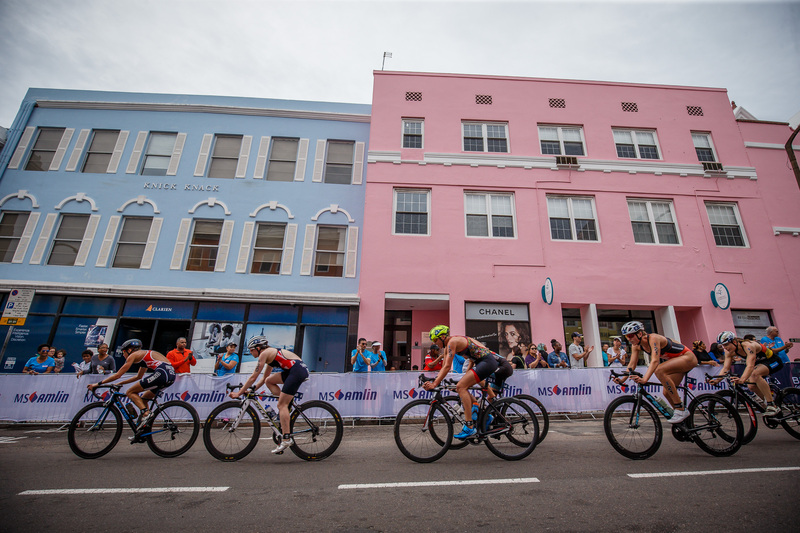 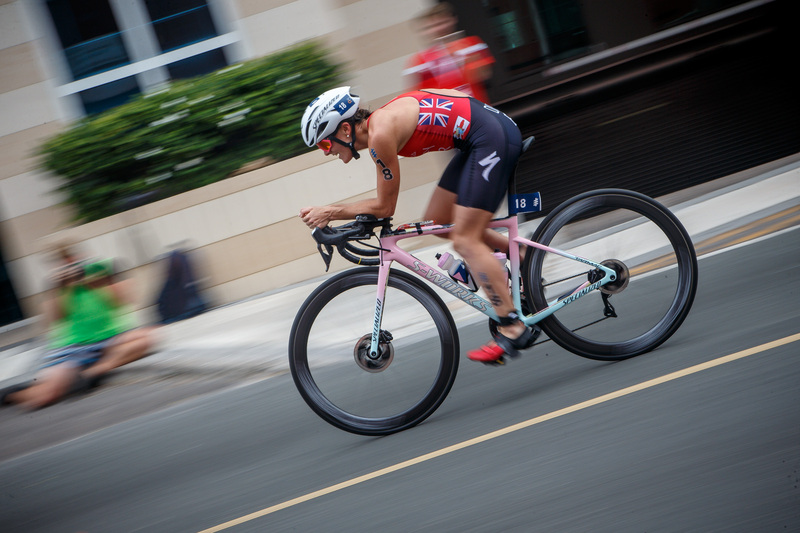 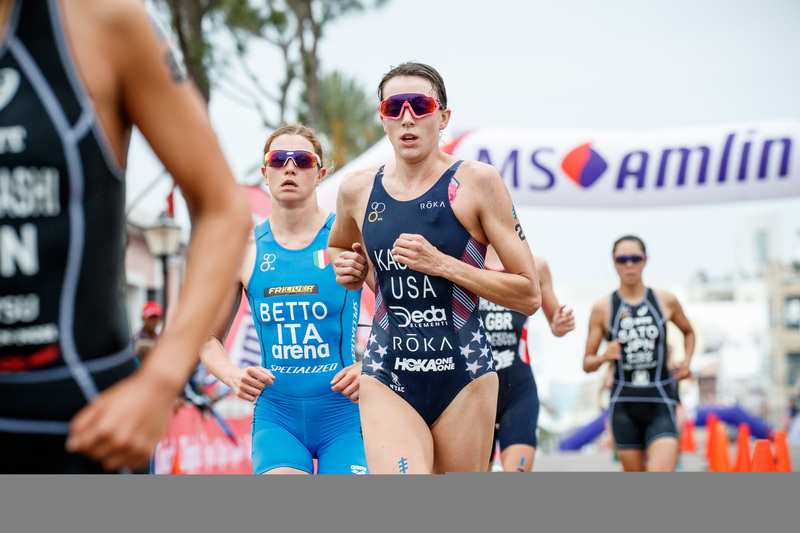 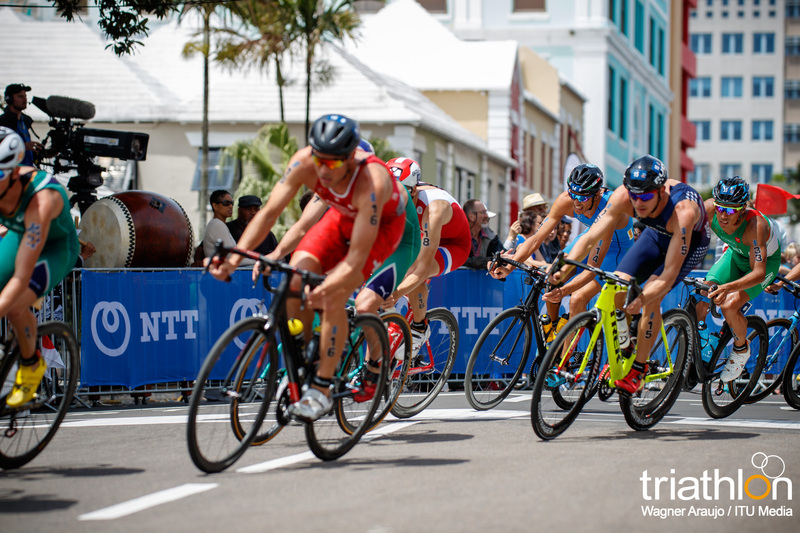 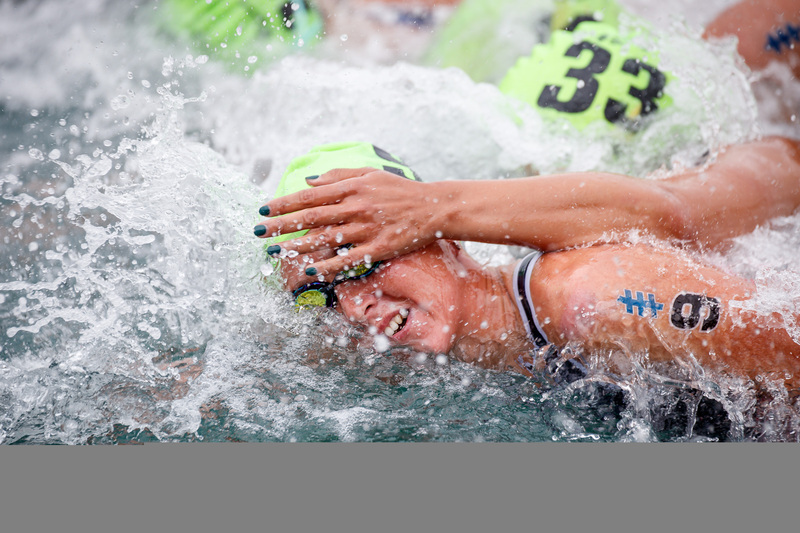 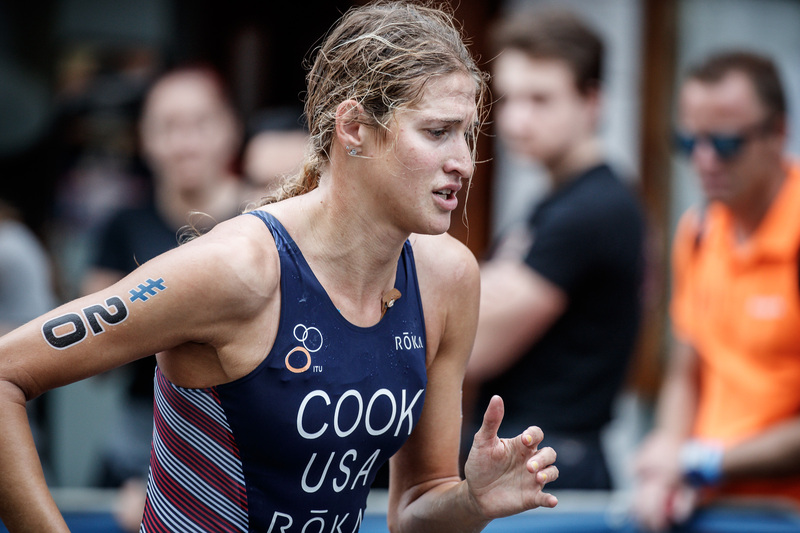 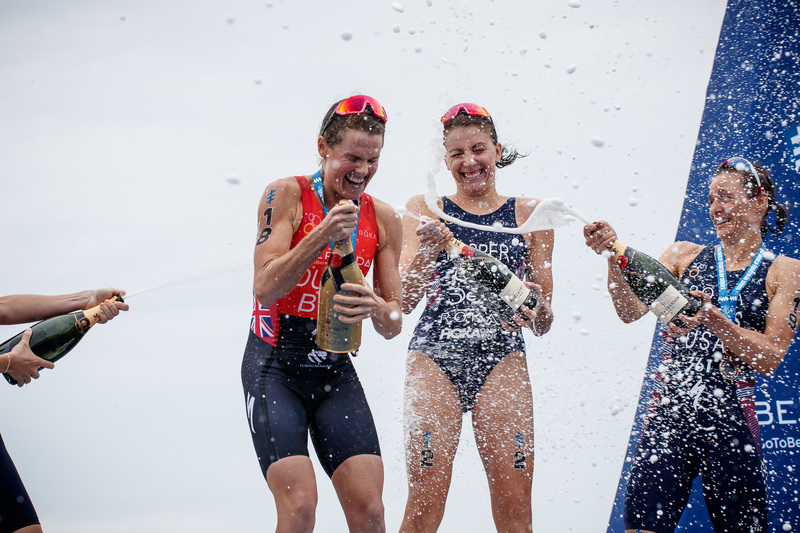 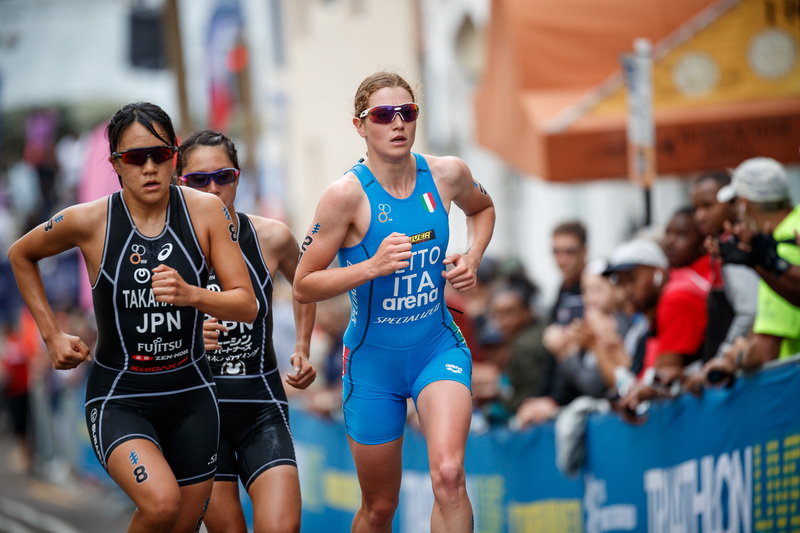 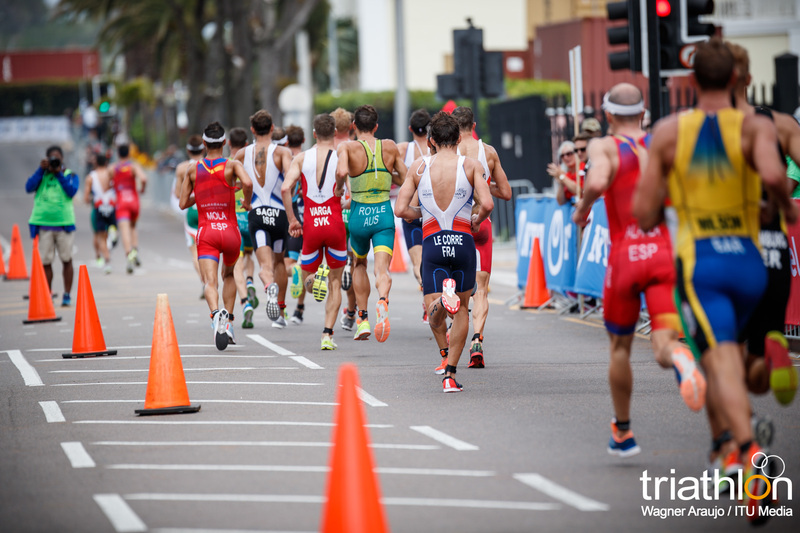 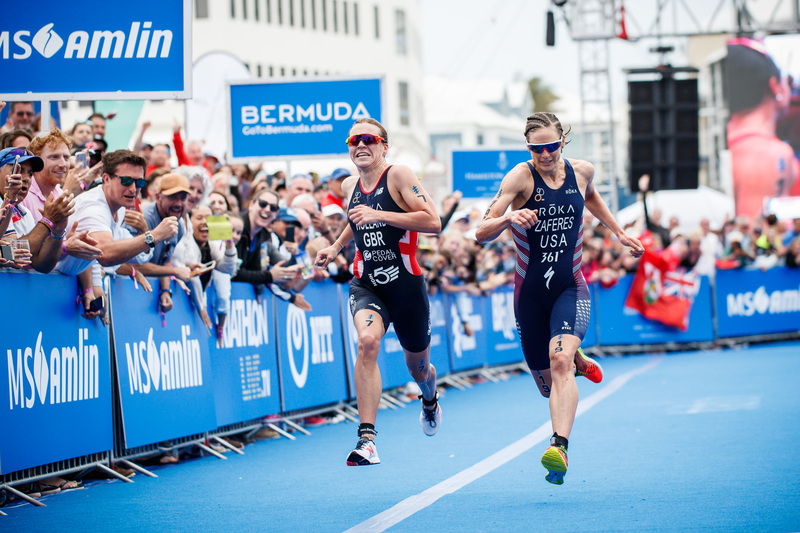 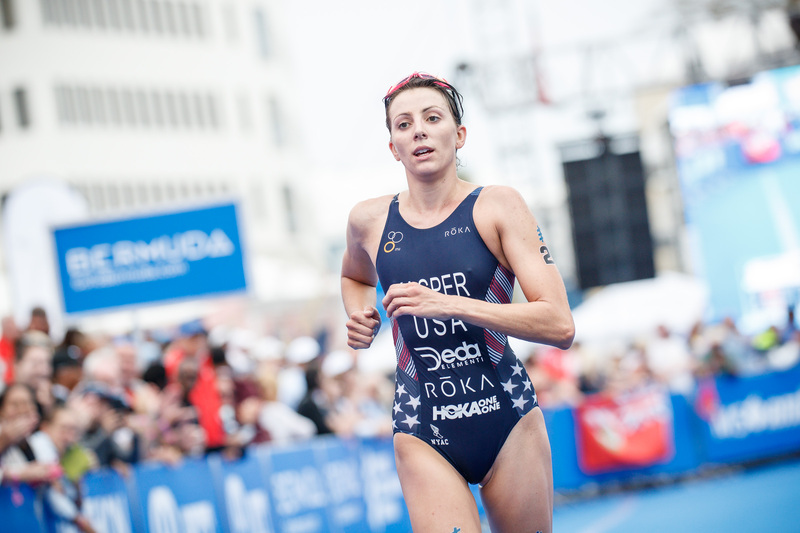 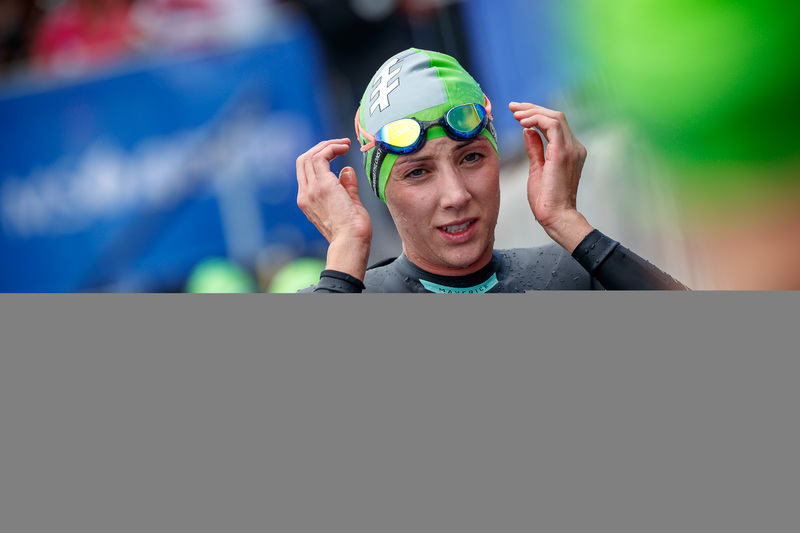 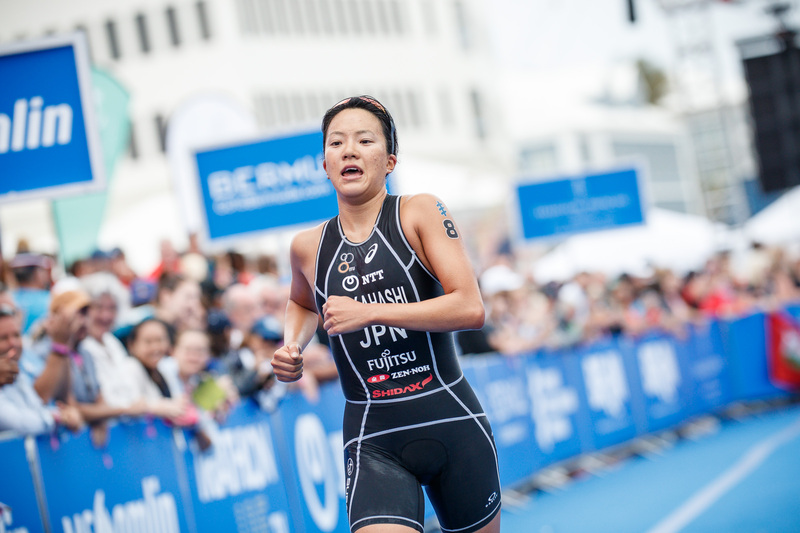 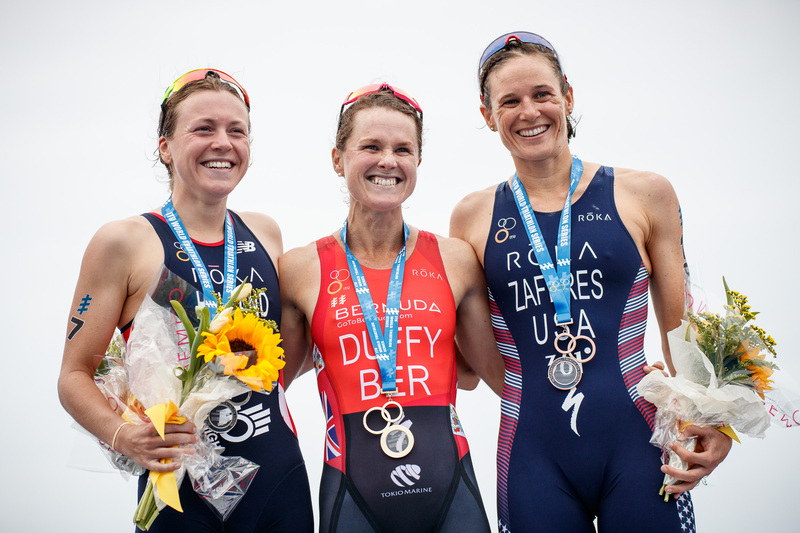 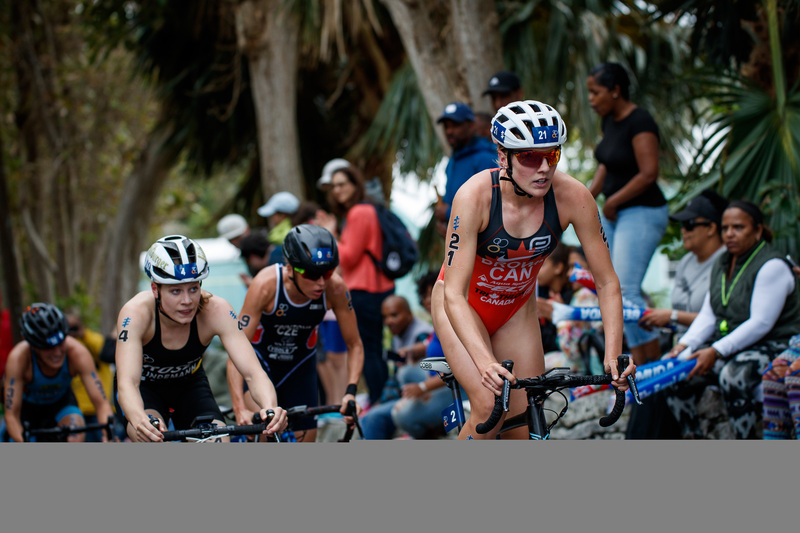 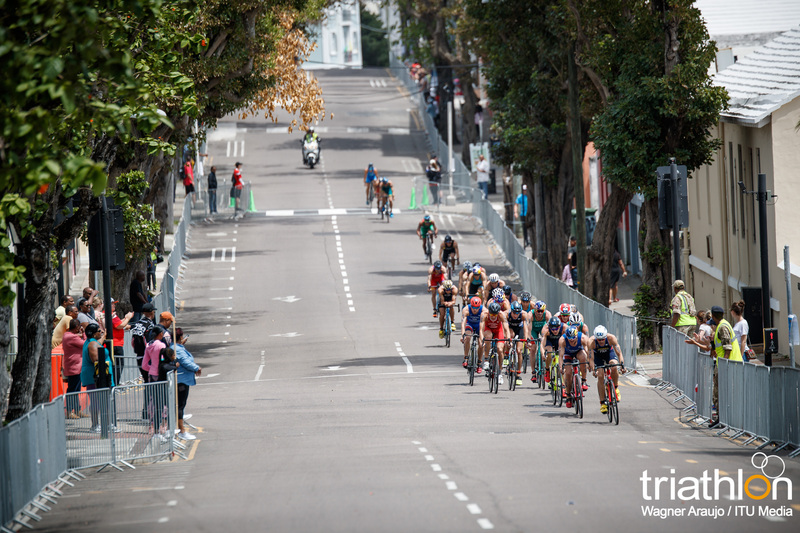 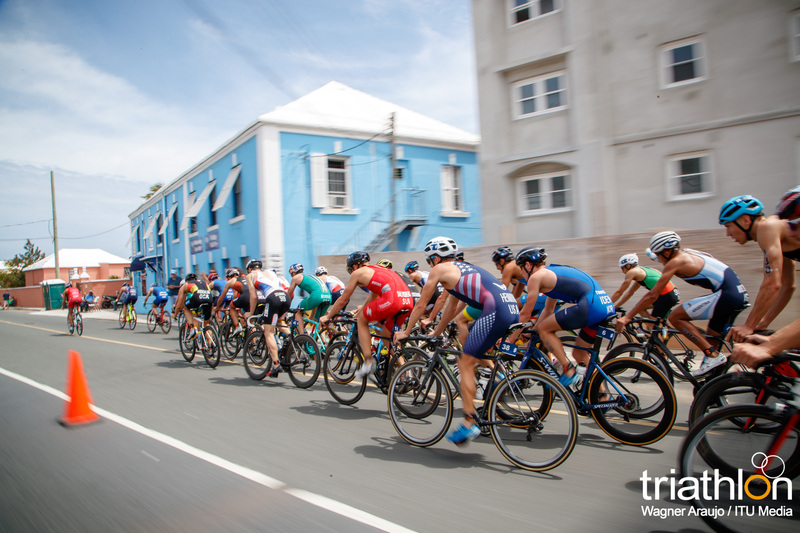 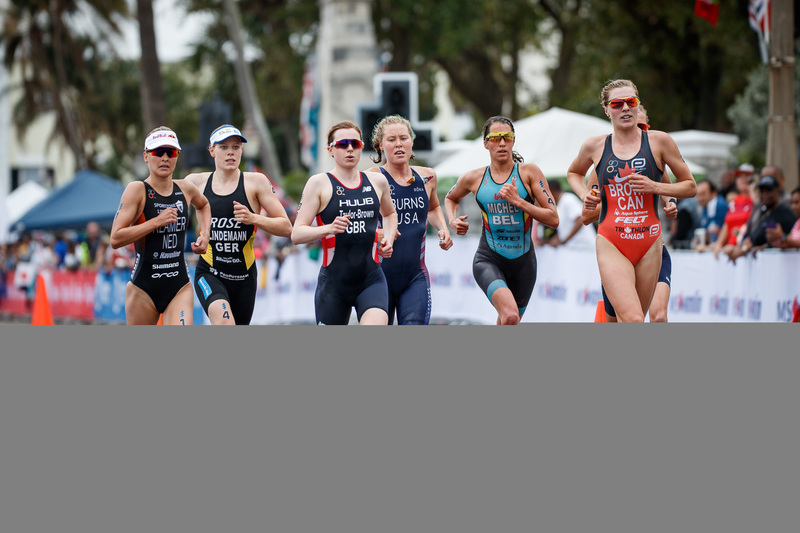 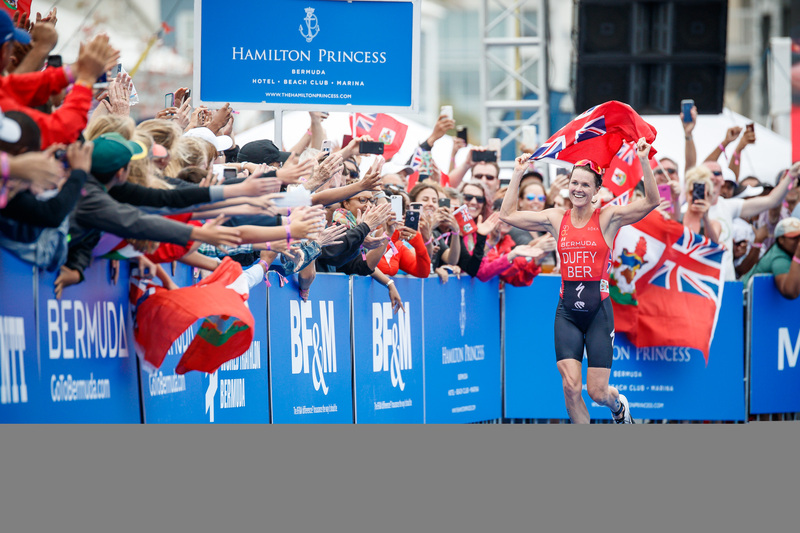 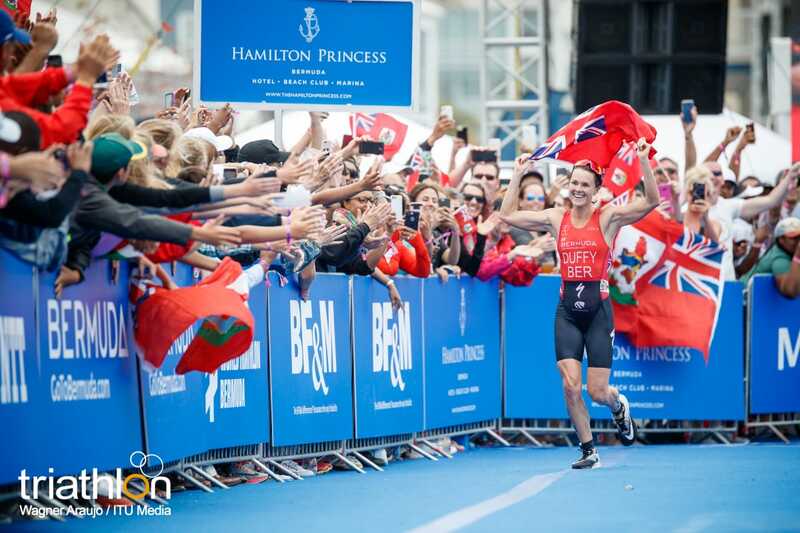 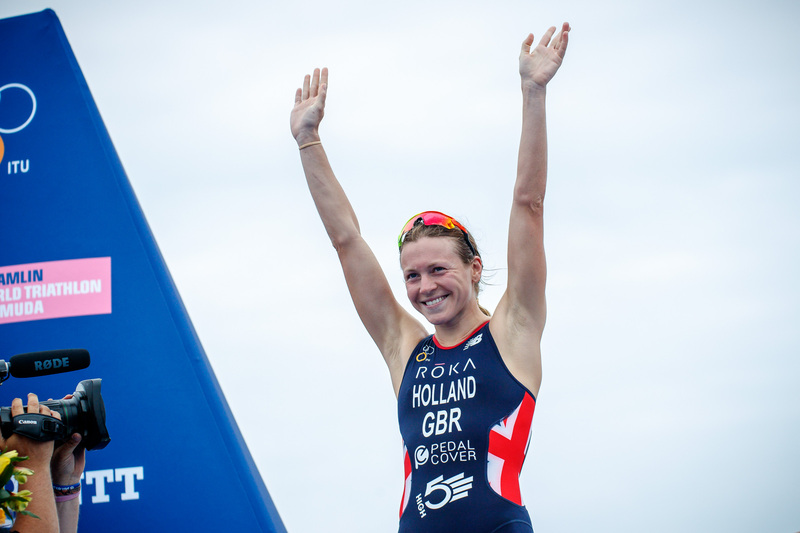 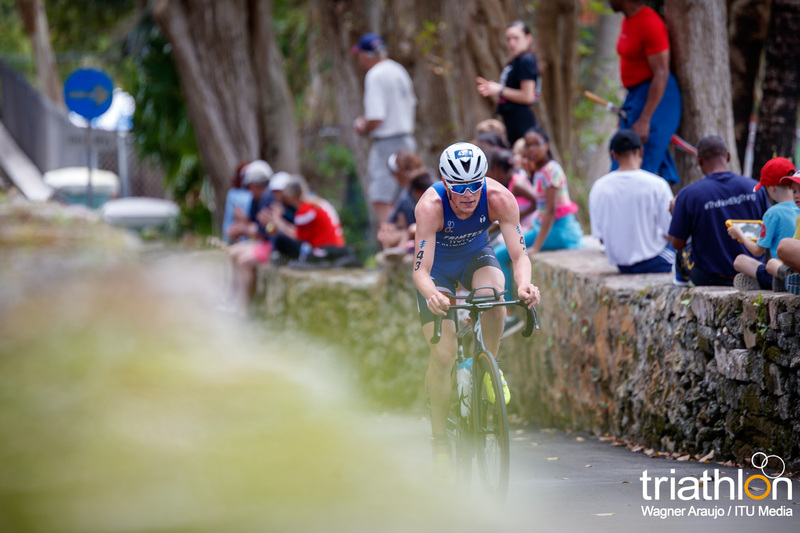 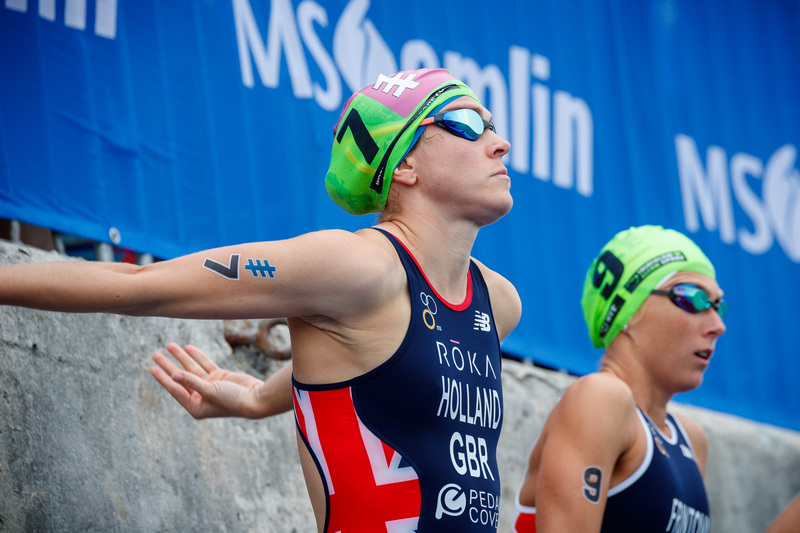 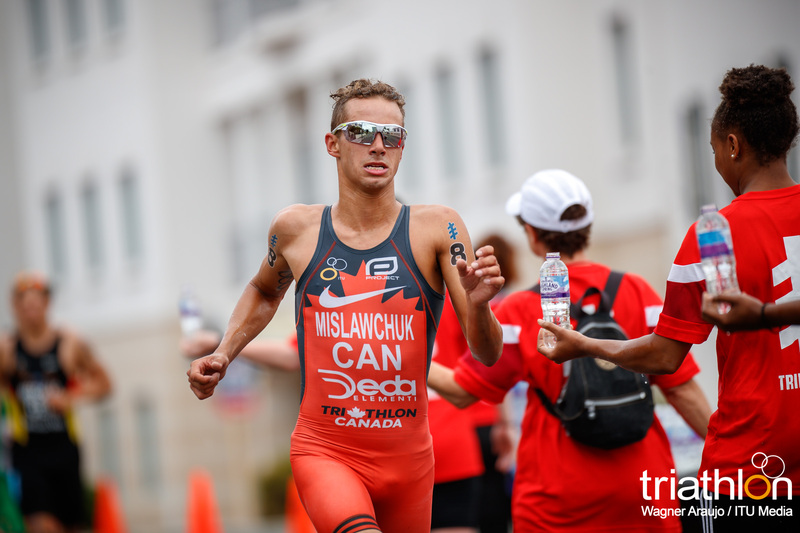 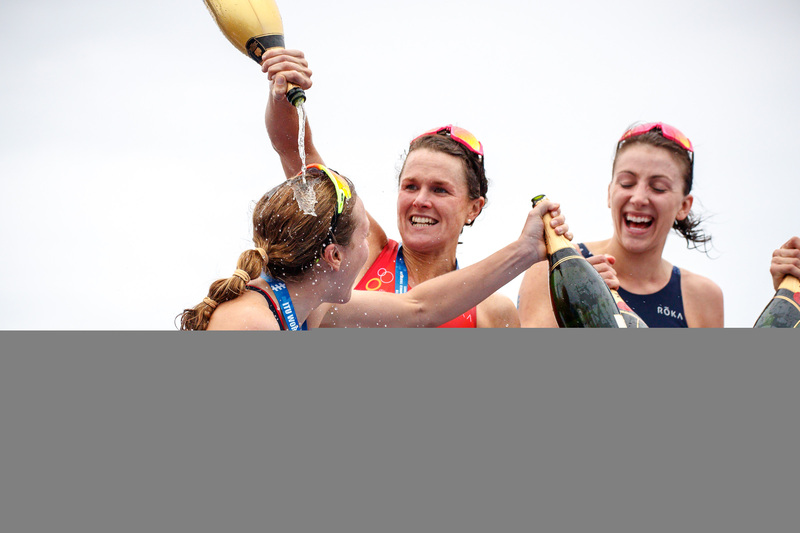 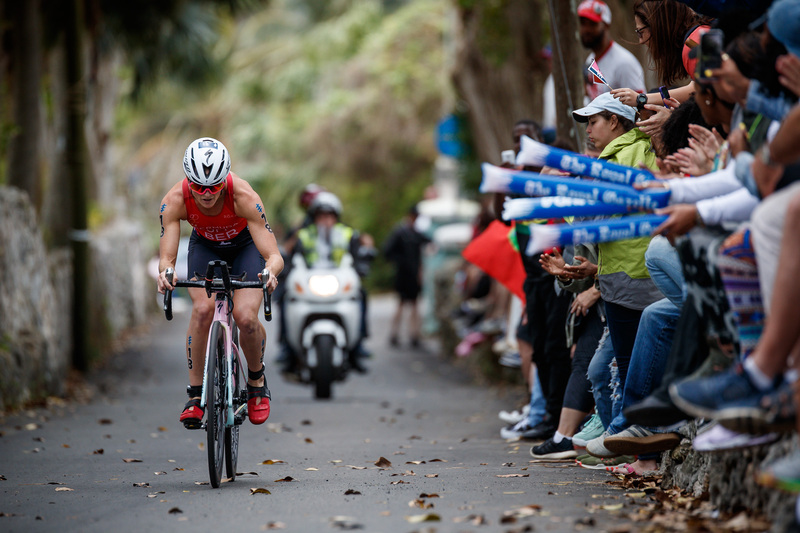 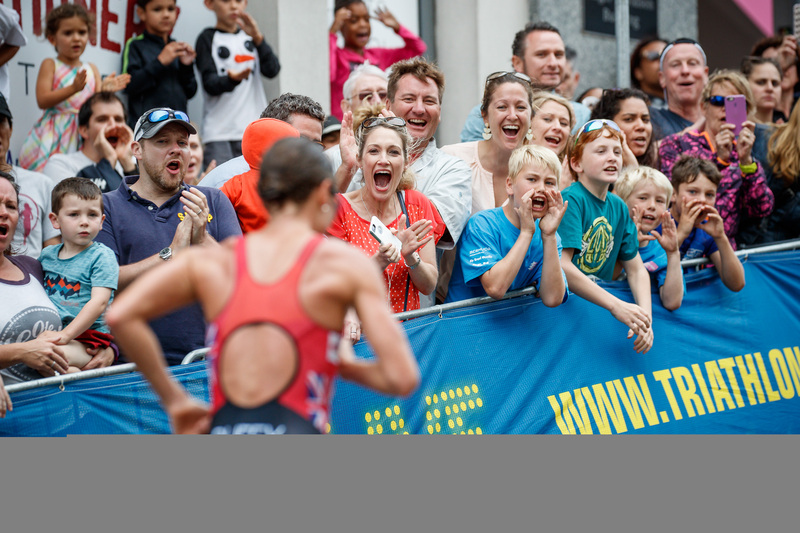 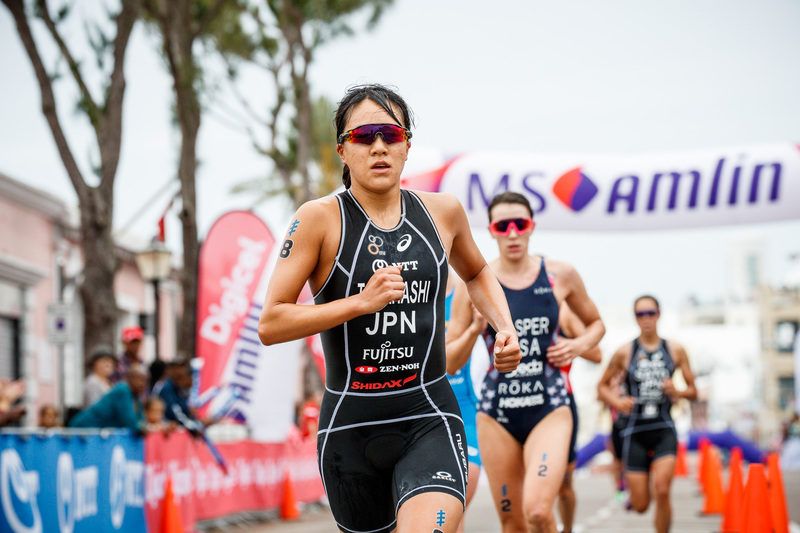 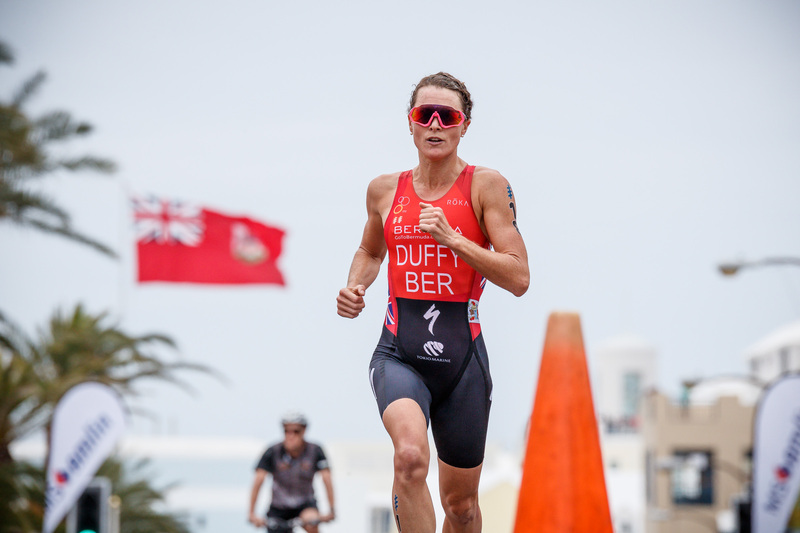 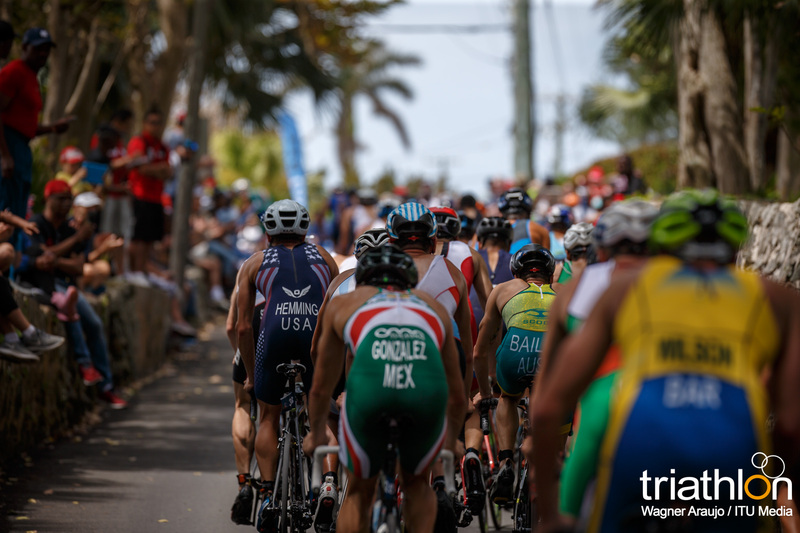 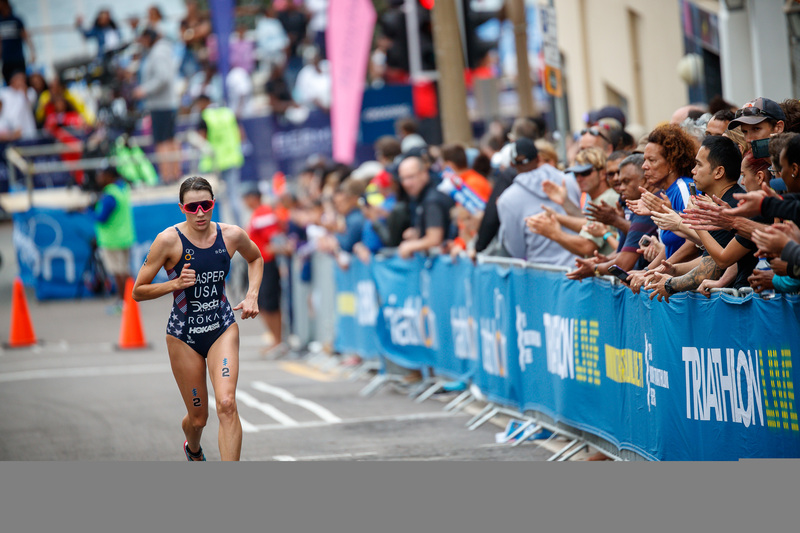 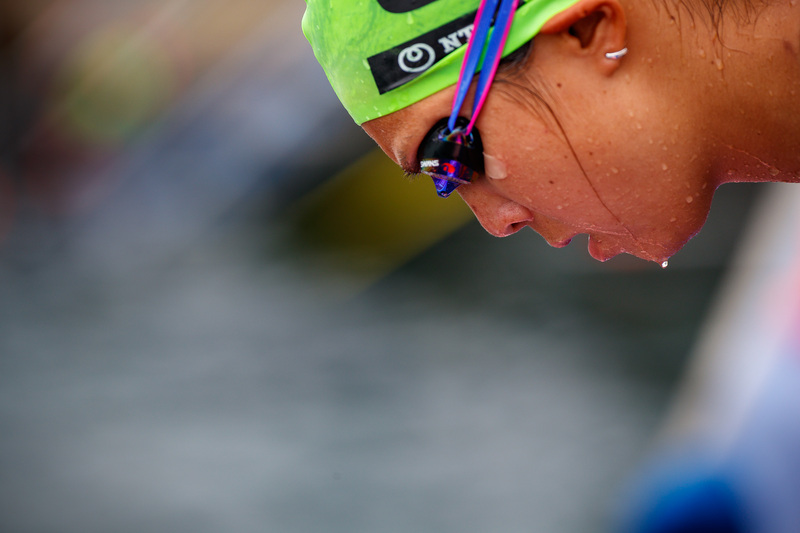 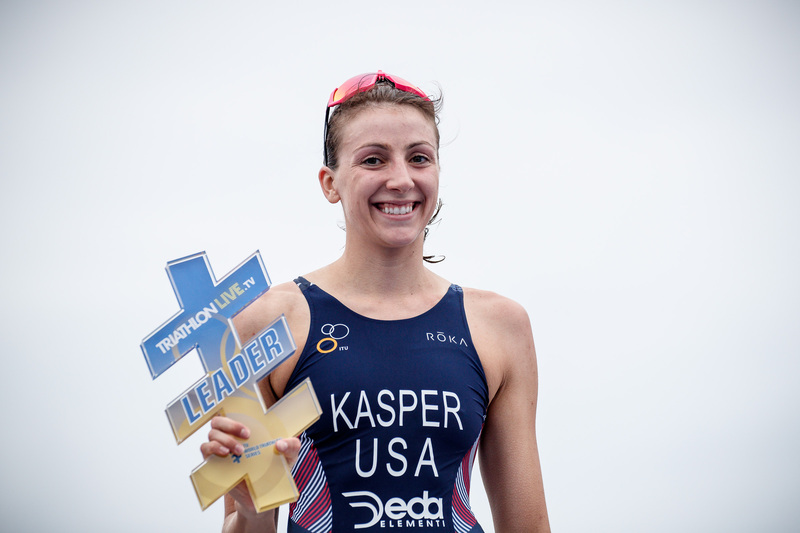 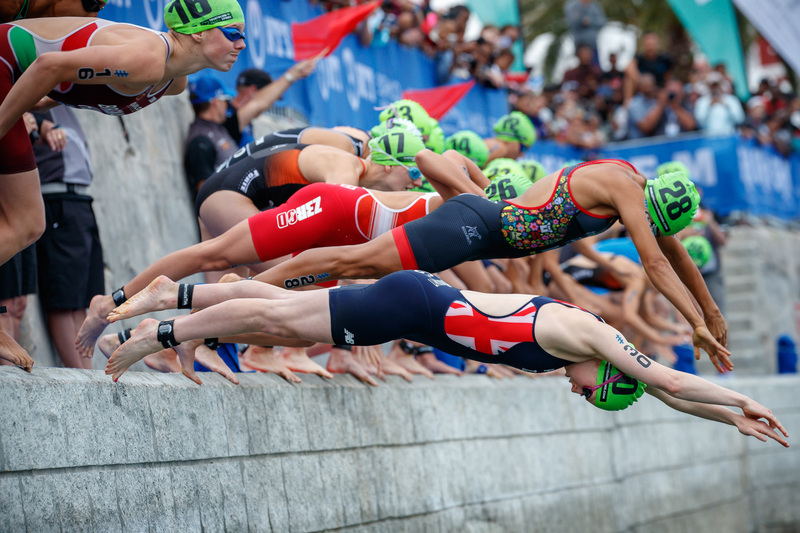 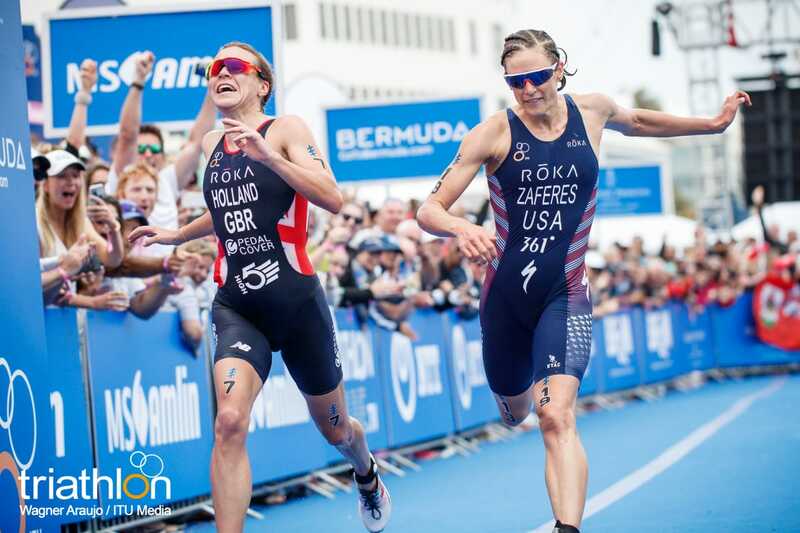 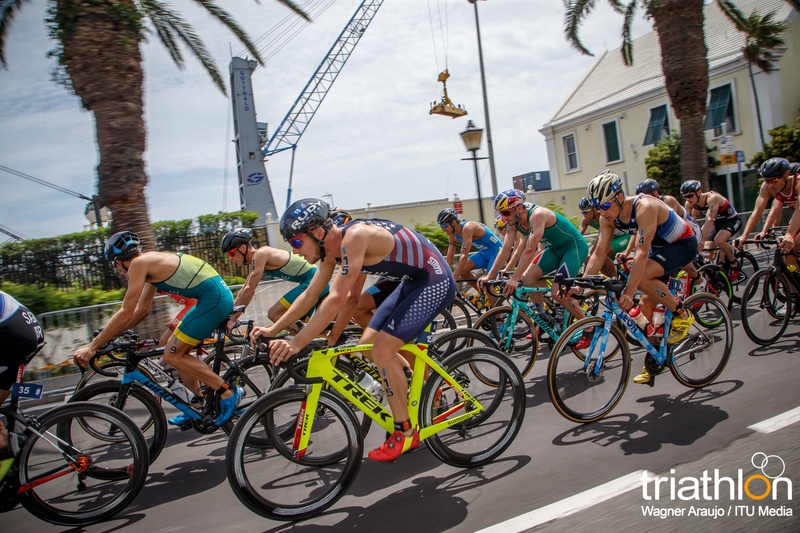 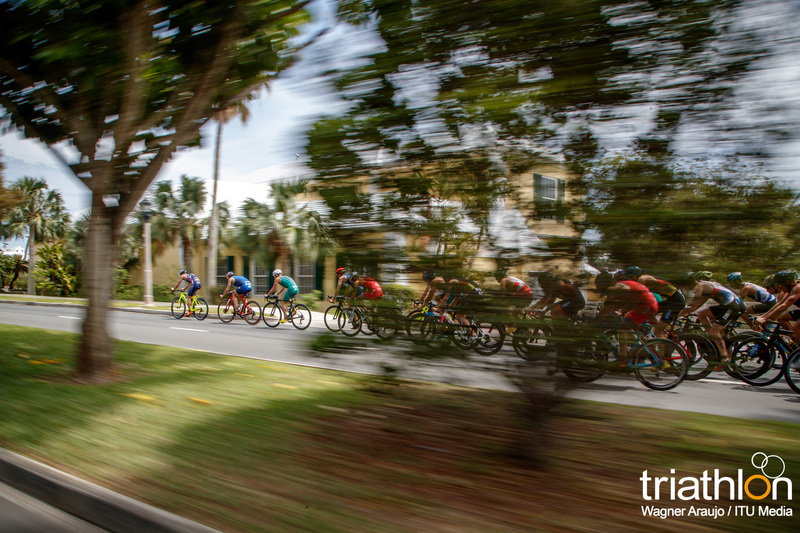 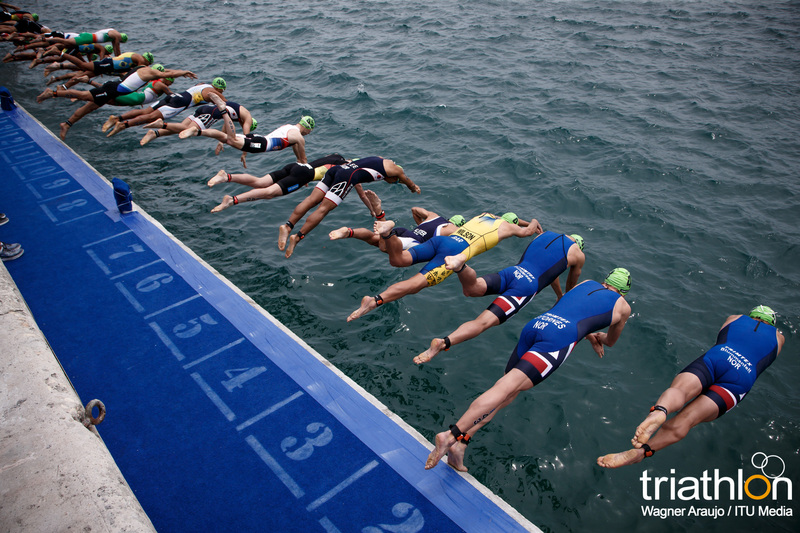 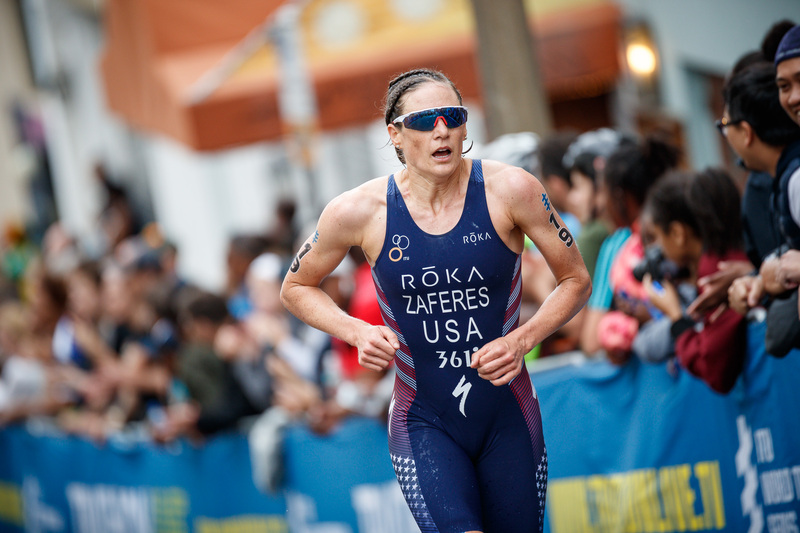 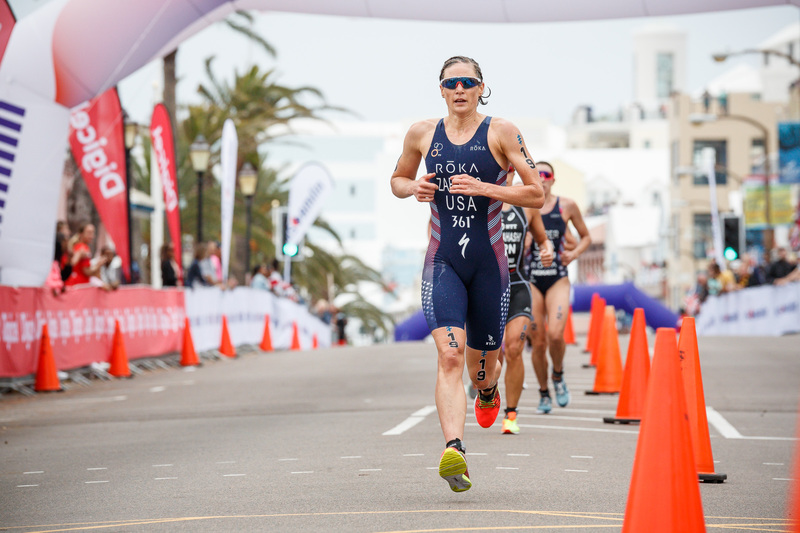 Thousands of cheering fans lined the streets in Hamilton, Bermuda for the country’s first-ever WTS event. 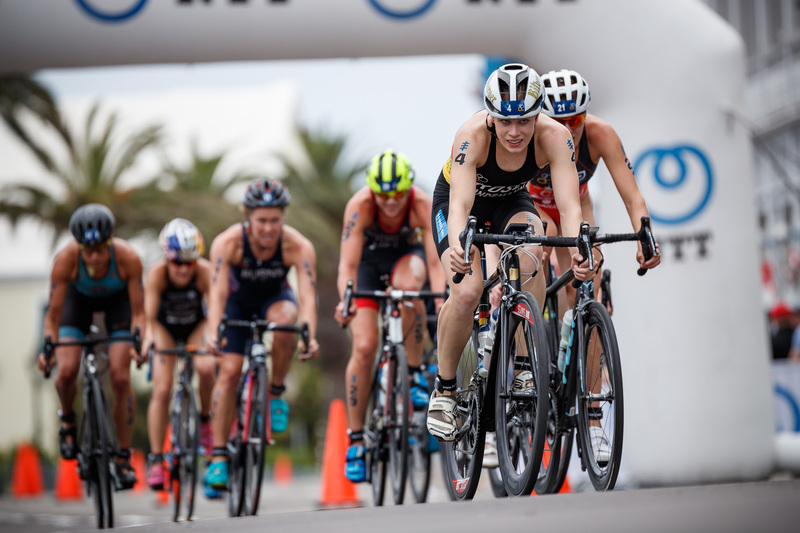 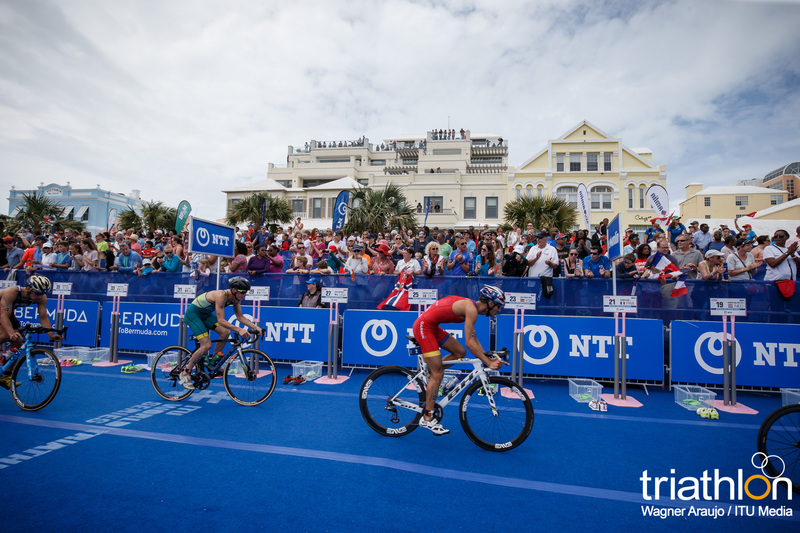 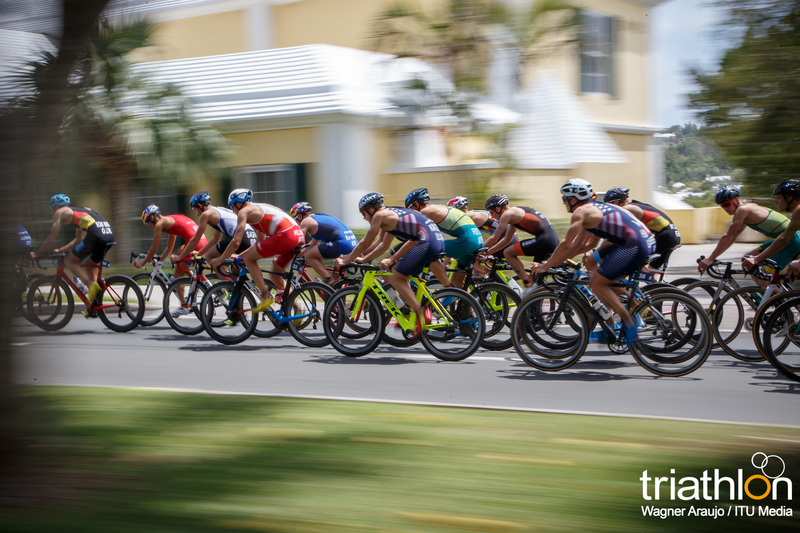 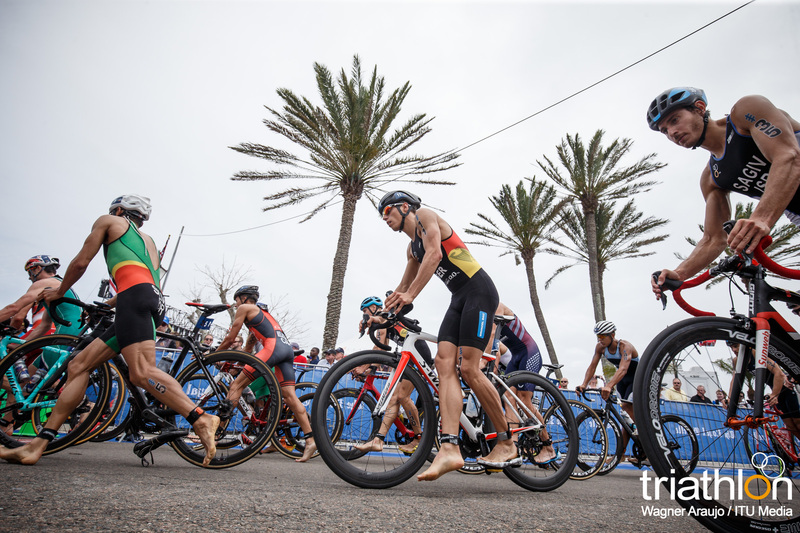 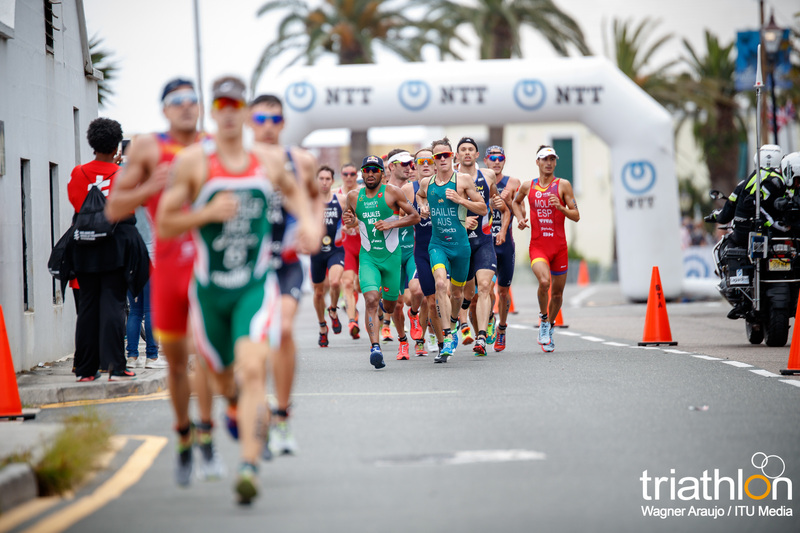 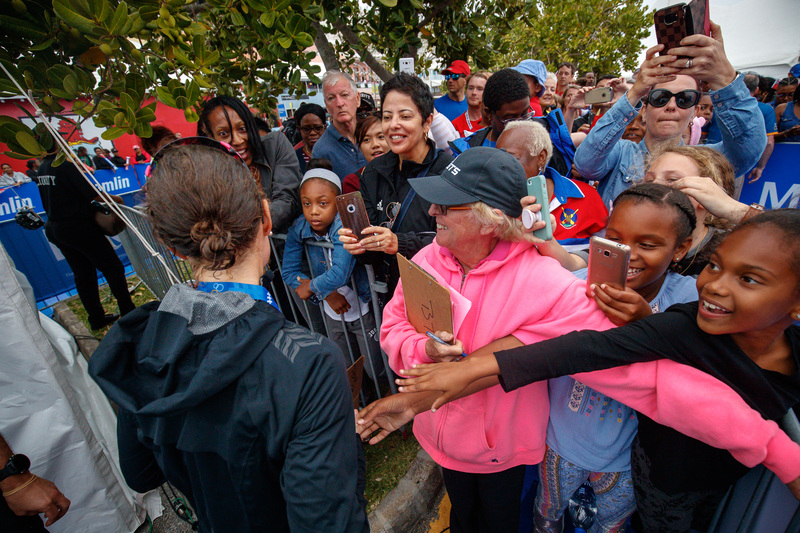 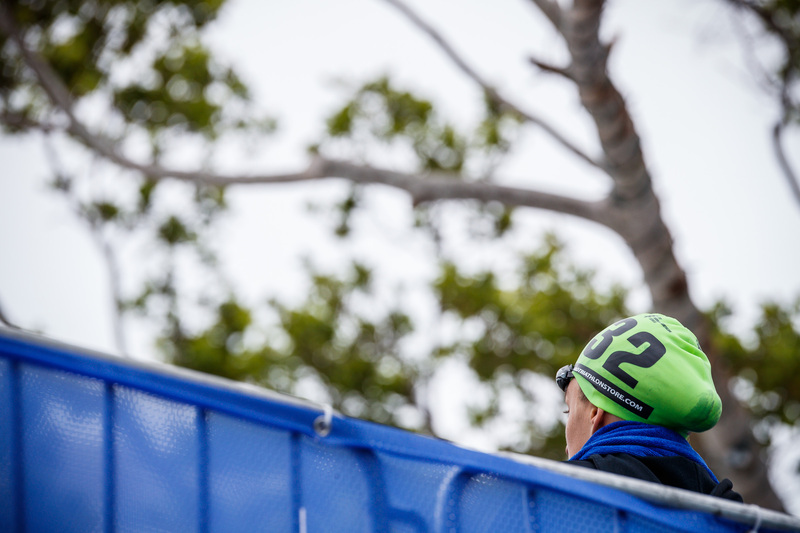 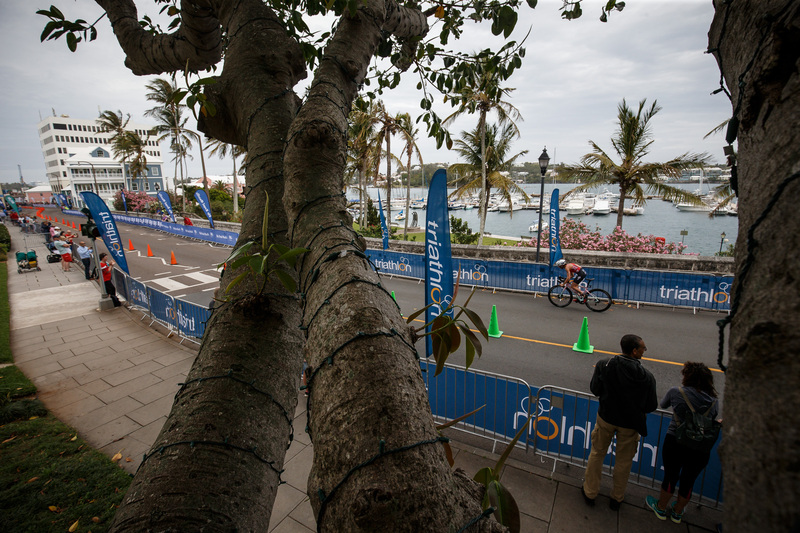 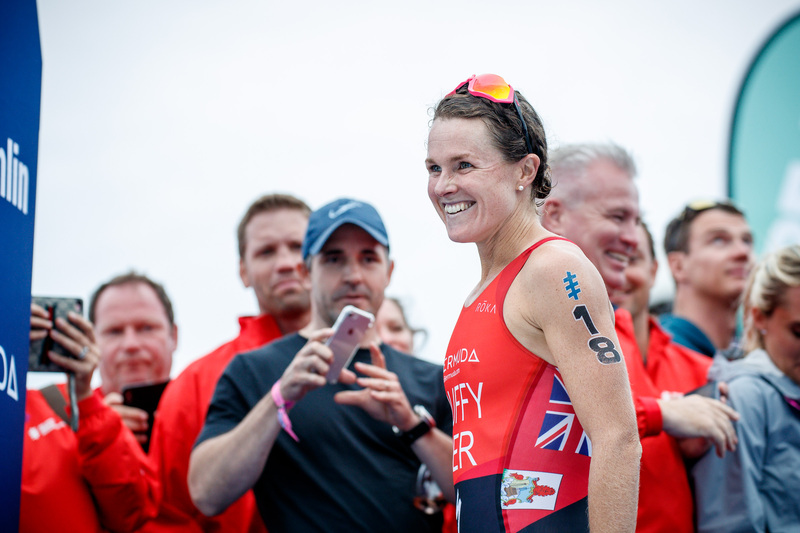 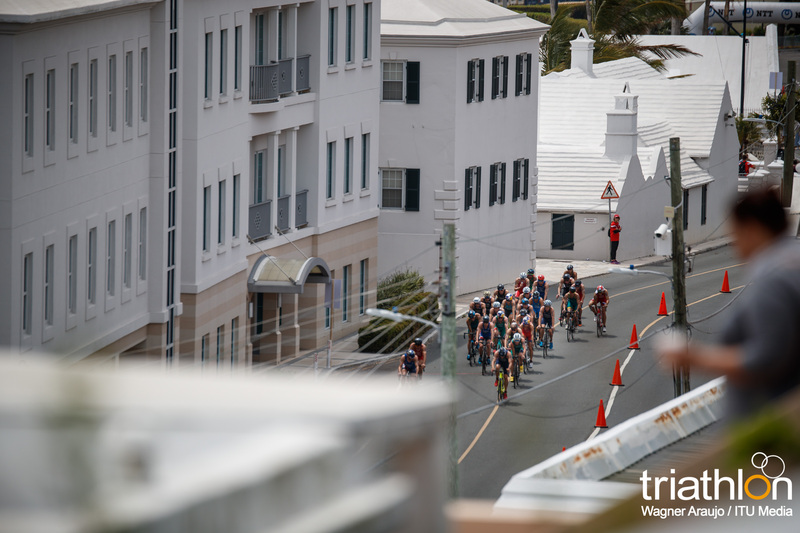 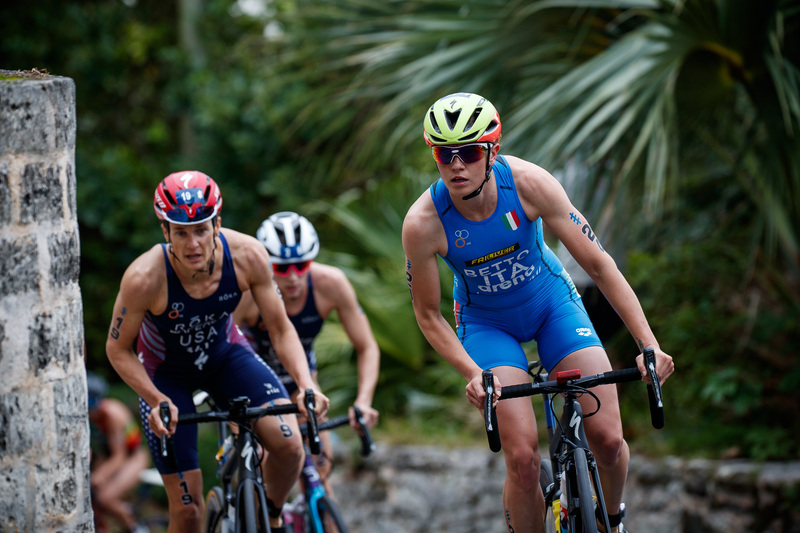 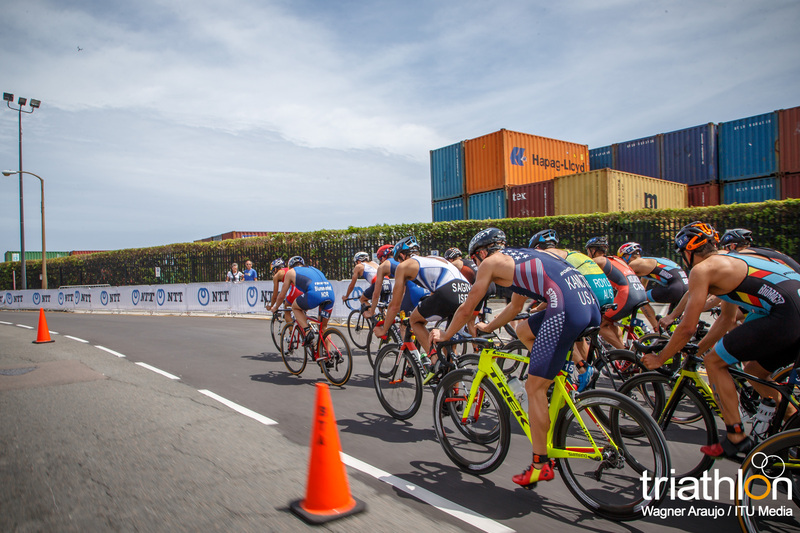 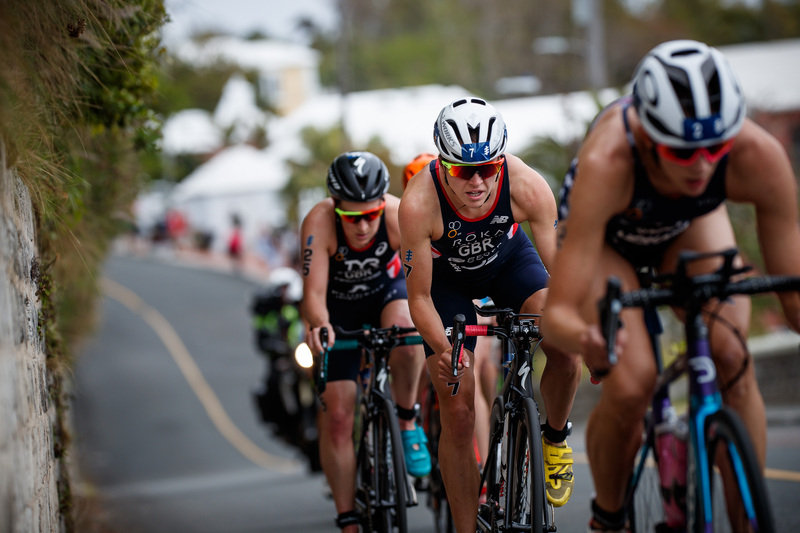 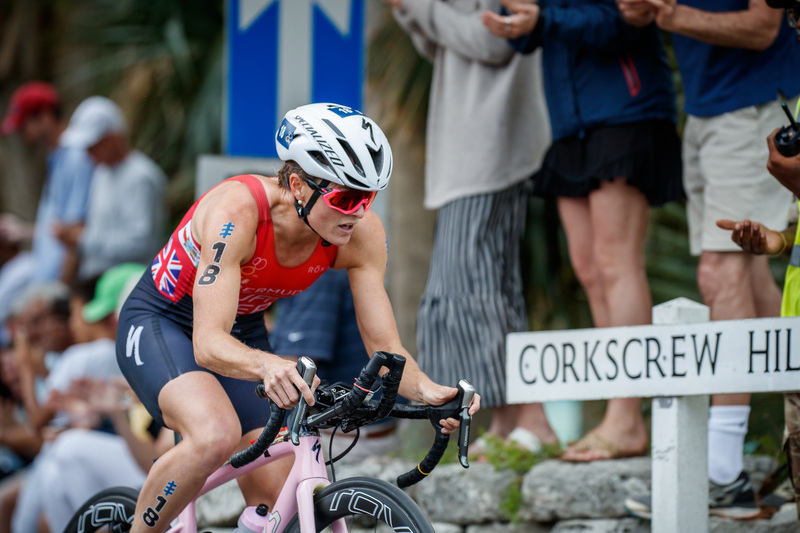 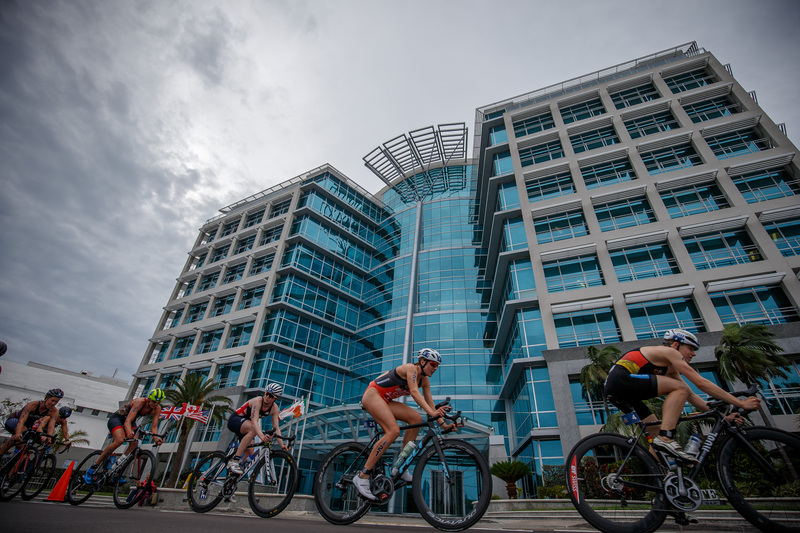 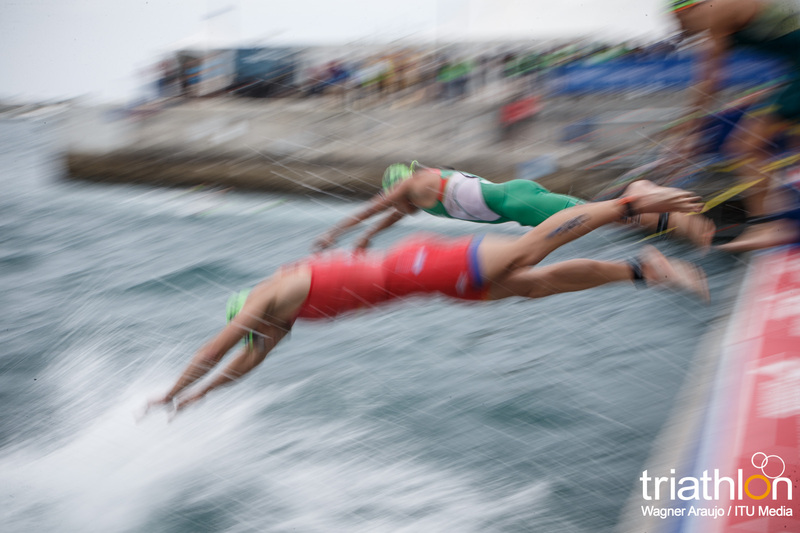 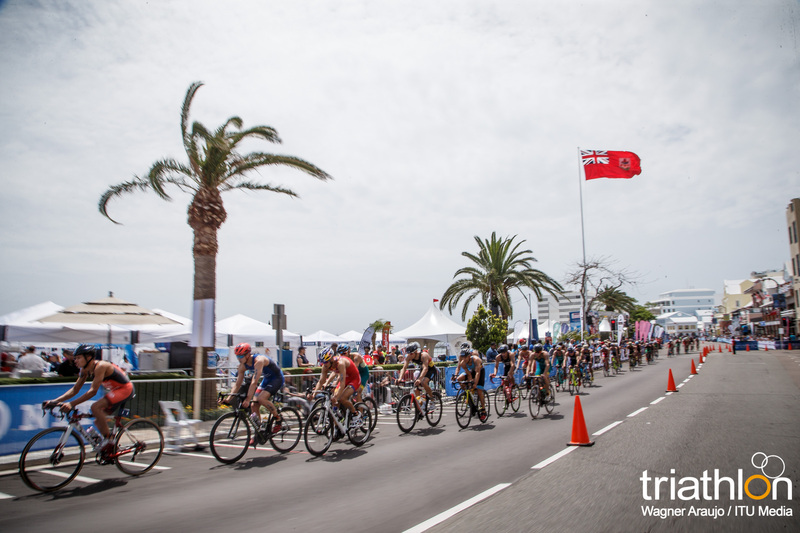 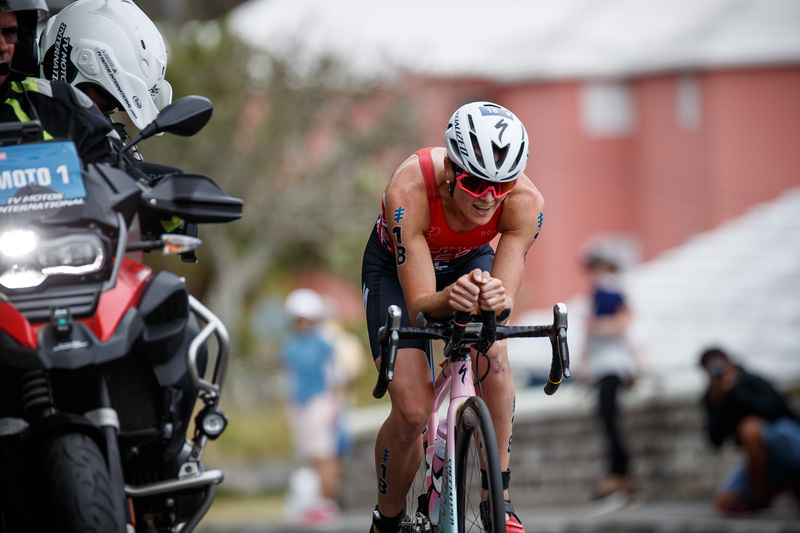 Despite early forecasts of rain, the weather was clear albeit windy and the hoards gathered, eager to watch the men kick off the first WTS Bermuda. 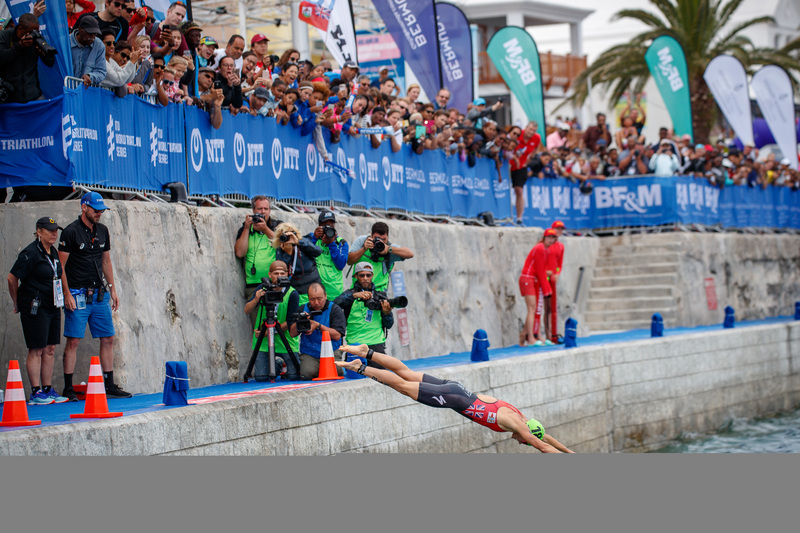 Diving into the water from the two-metre high pontoon, Henri Schoeman (RSA) assumed the early lead. 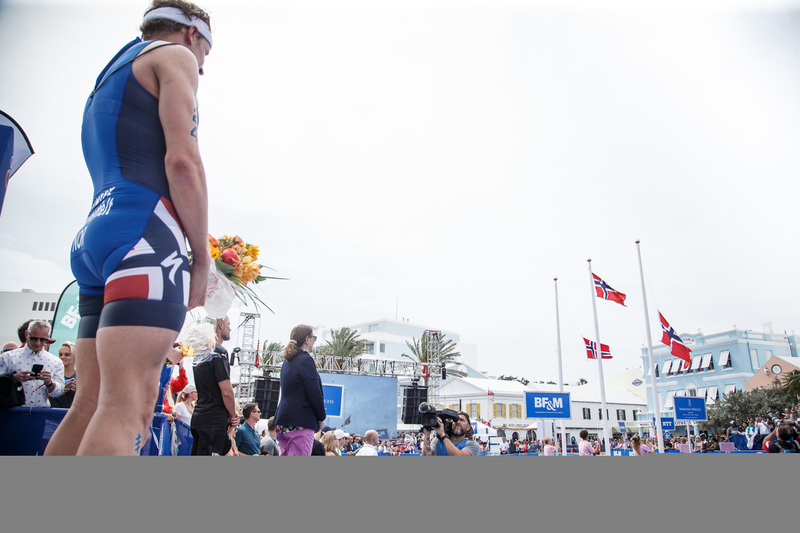 USA’s Ben Kanute stayed right on his heels and the two held on tight to their advantage for the duration of the 1.5-kilometre swim. 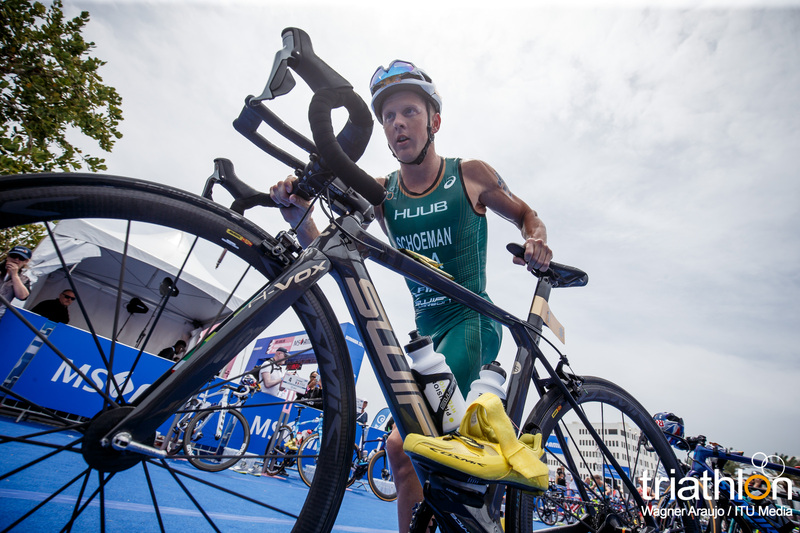 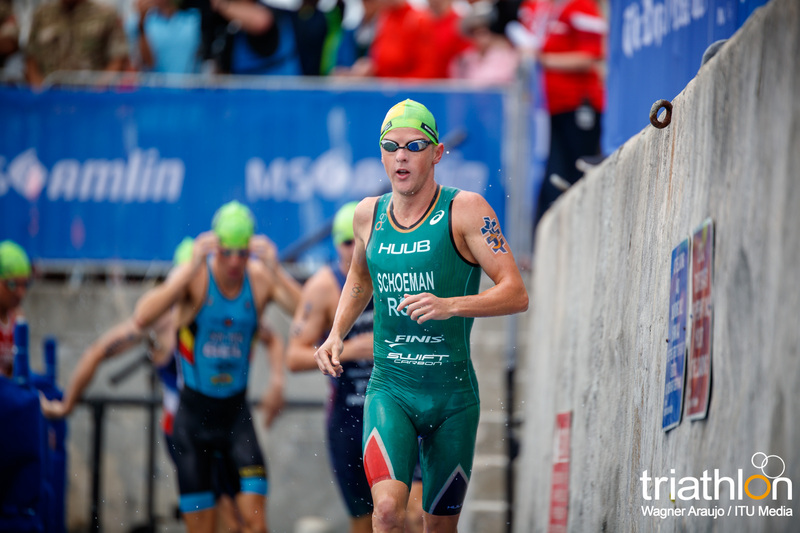 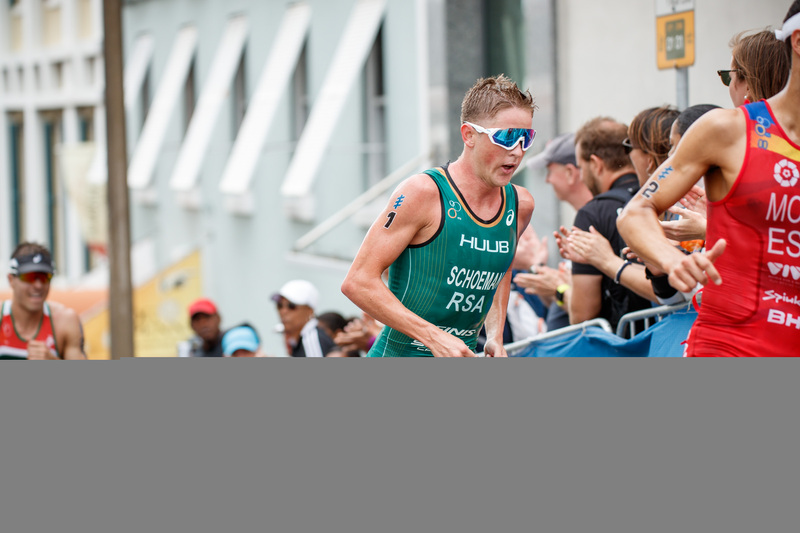 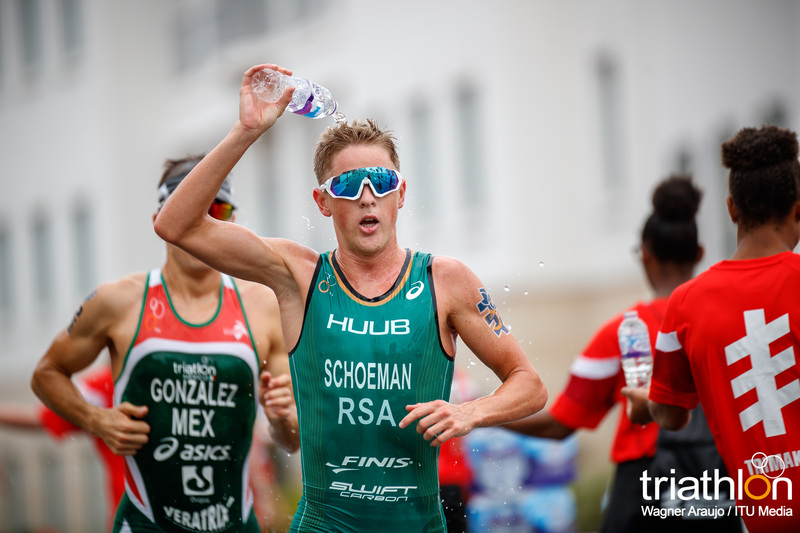 Schoeman exited the waters as race leader for the seventh time in his WTS career but had a trail of competitors close behind to carry into the first transition. 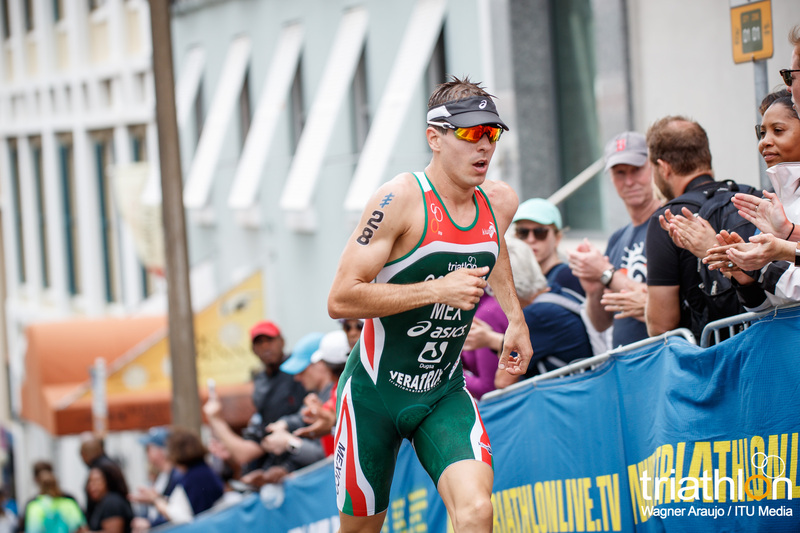 Spaniard Mario Mola put himself in a strong position with only a 30-second deficit. 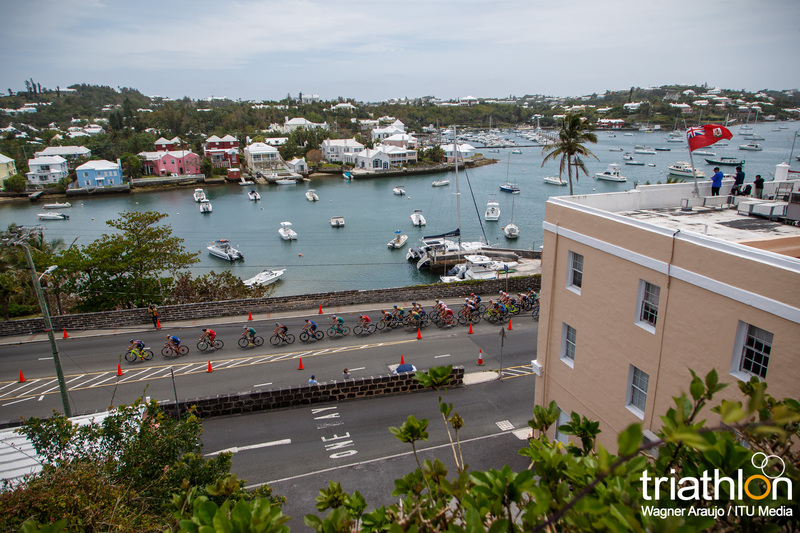 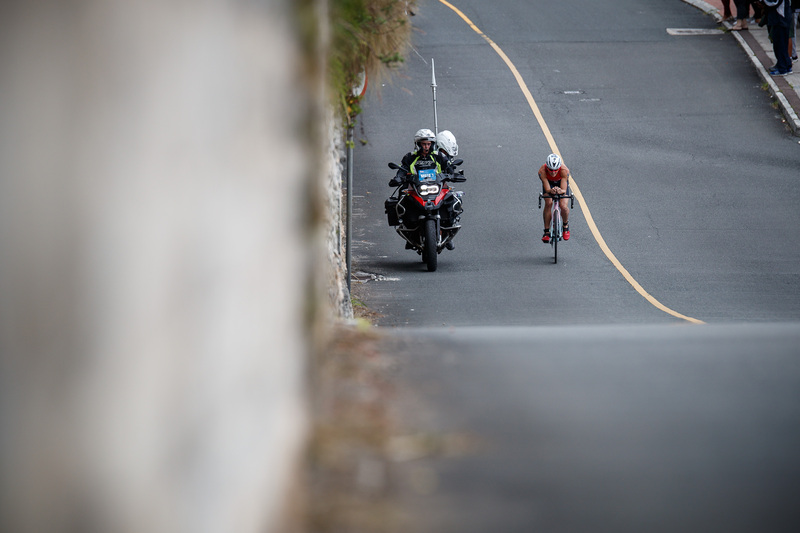 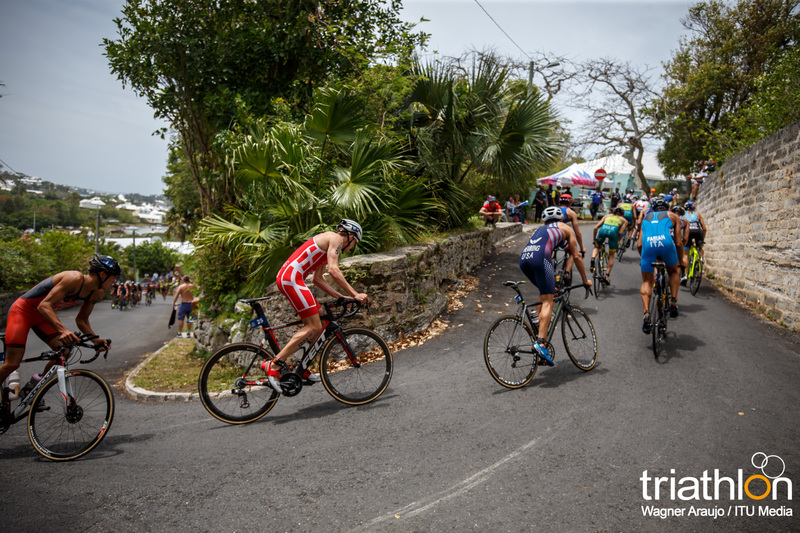 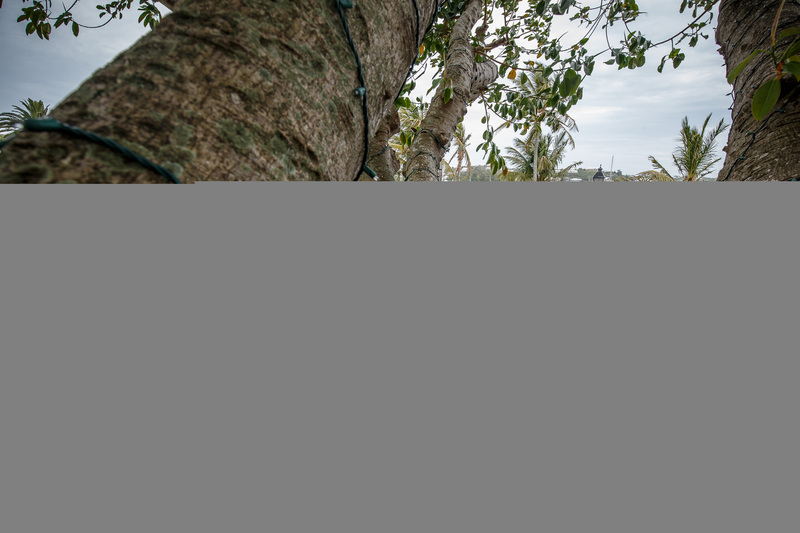 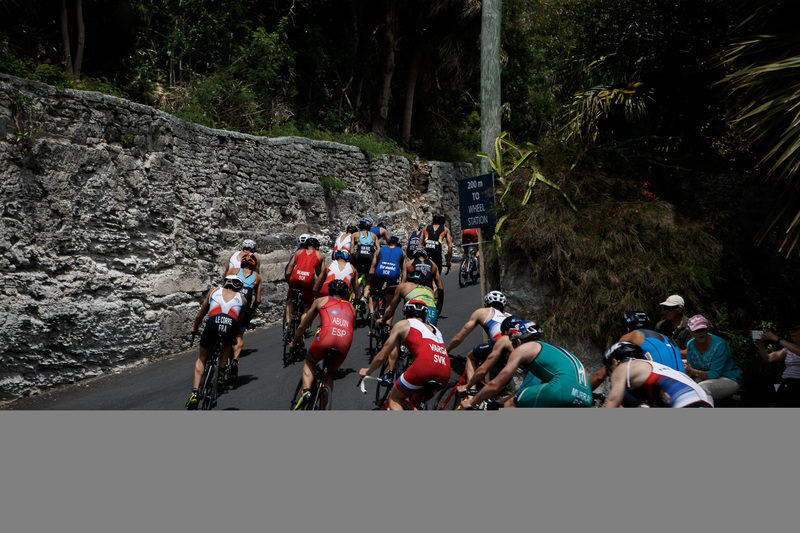 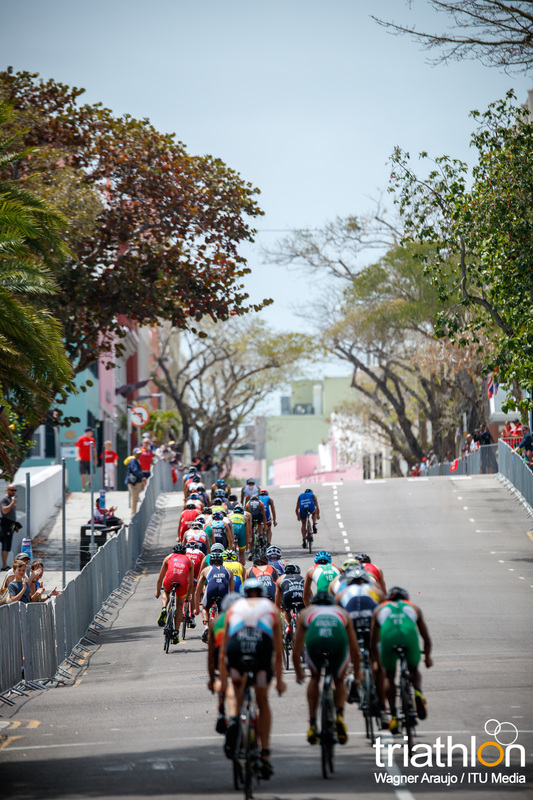 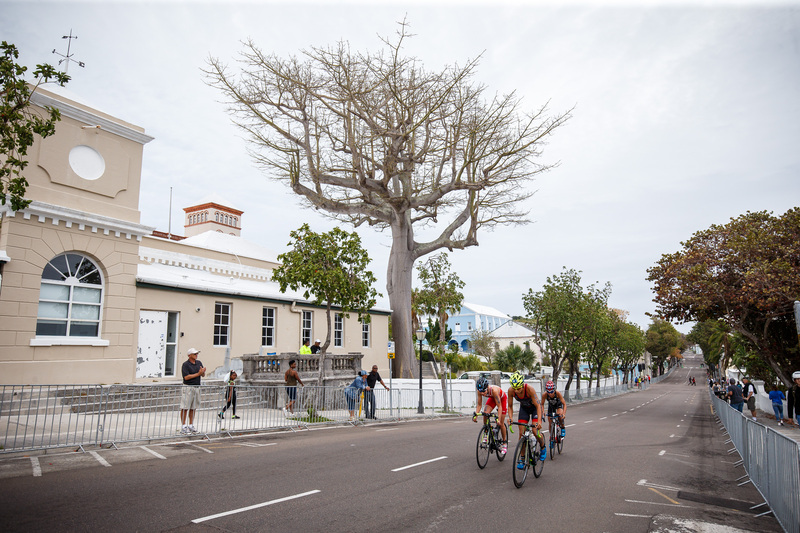 The Bermuda bike course had been much-discussed ahead of race day, its infamous Corkscrew Hill looming over the athletes who would have to tackle it no fewer than ten times in total. 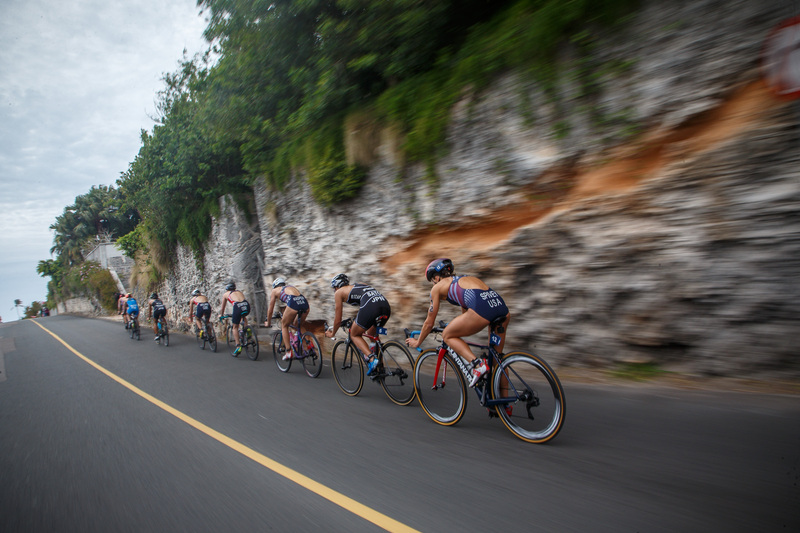 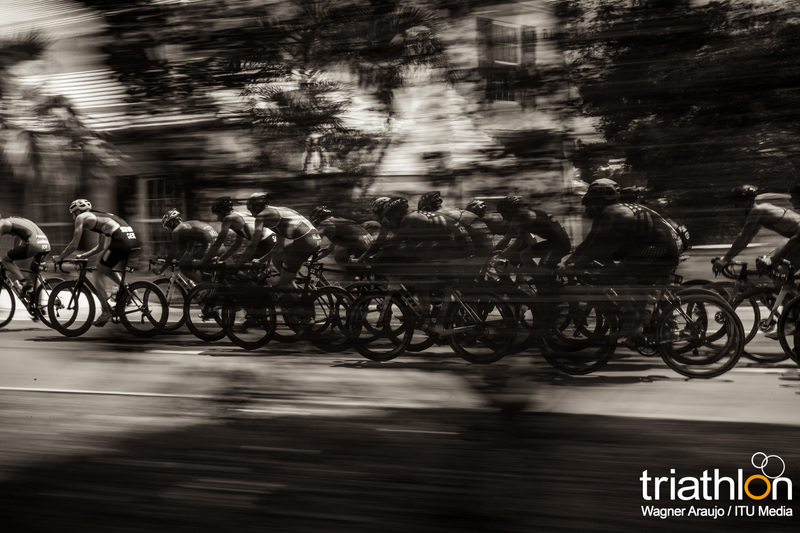 While a large group eventually bunched together that included the strongest contenders in the field, it was to be Stornes who made the breakaway attempt on the third lap. 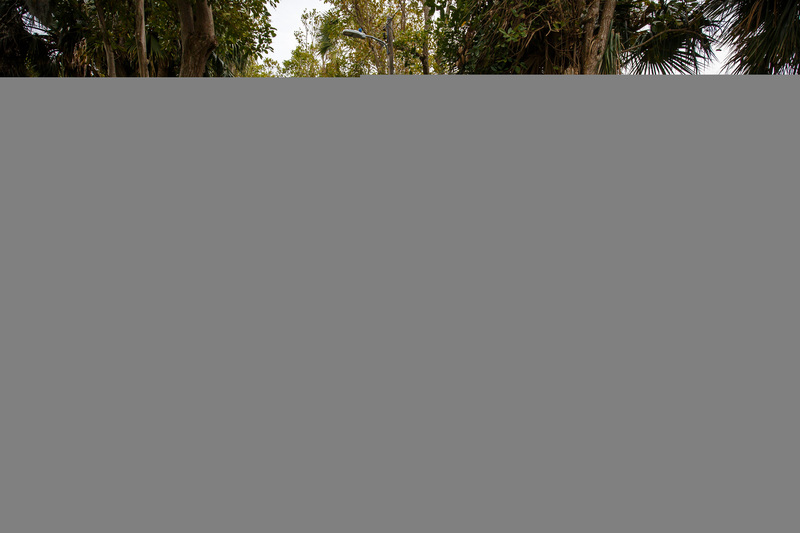 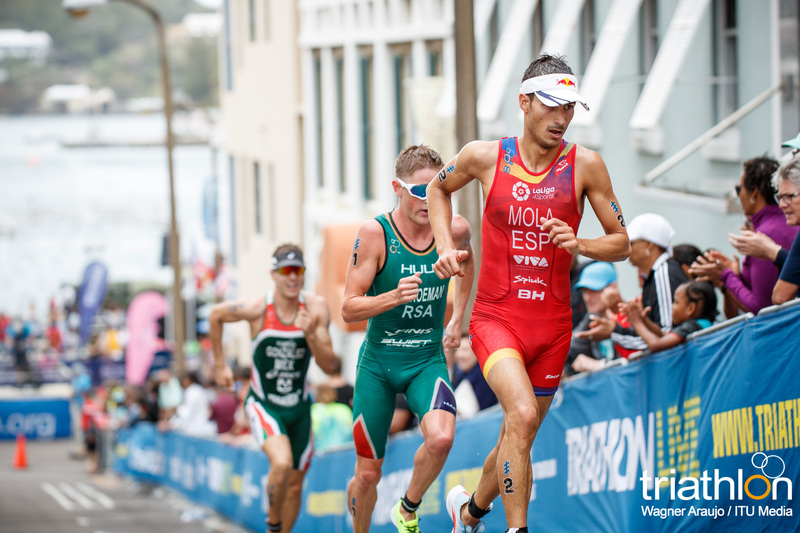 That bold decision looked to have paid dividends as he pushed the pace with every passing metre, counting on the narrow course’s tight U-turns to slow a large chasing pack that included the ever-present threats of Mola, Schoeman and Blummenfelt. 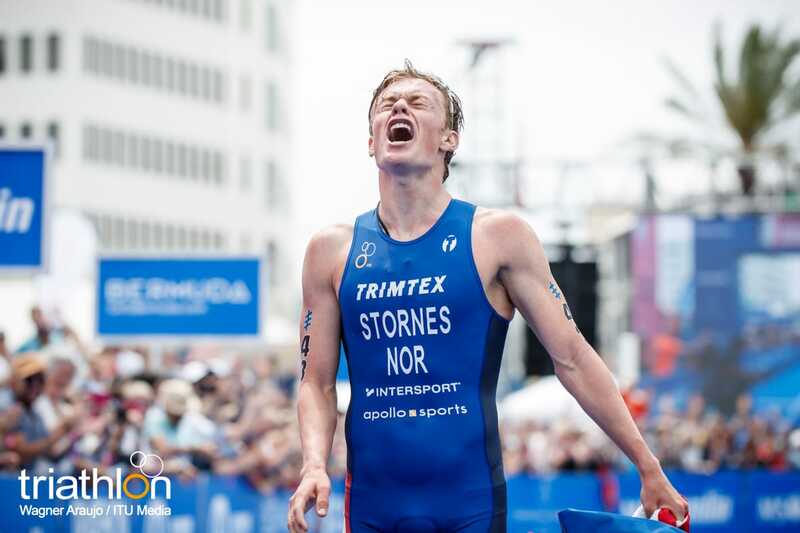 Denmark’s Andreas Schilling proved to be the only man to try and catch Stornes, but ultimately he, too, could not close in, returning to to the pack to hold second place for the rest of the bike. 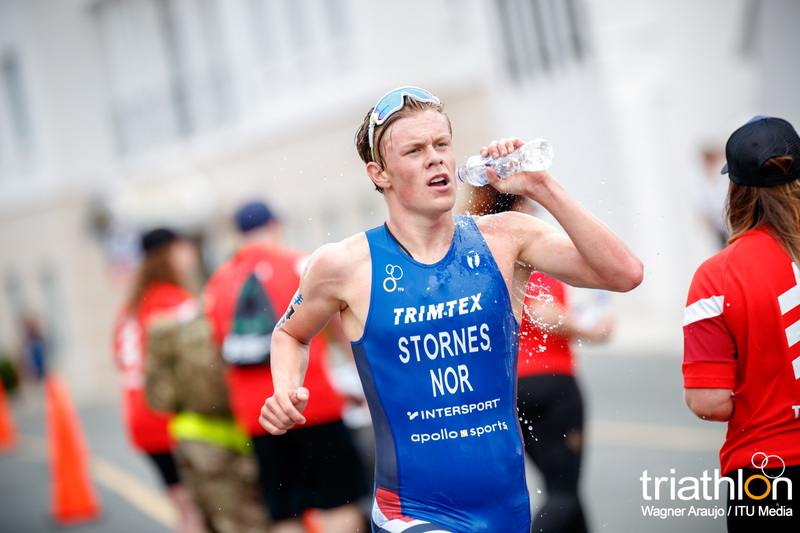 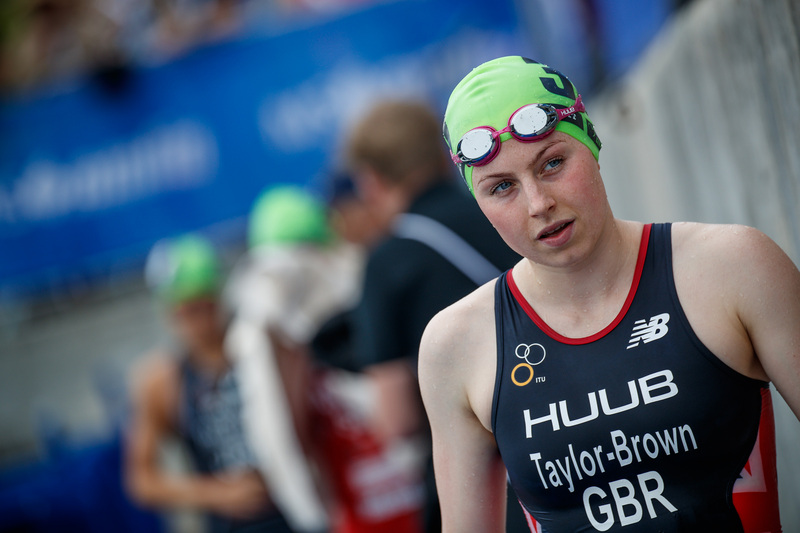 As the second transition approached, Stornes had built up a lead of over two minutes from a chasing pack of over 30 athletes. 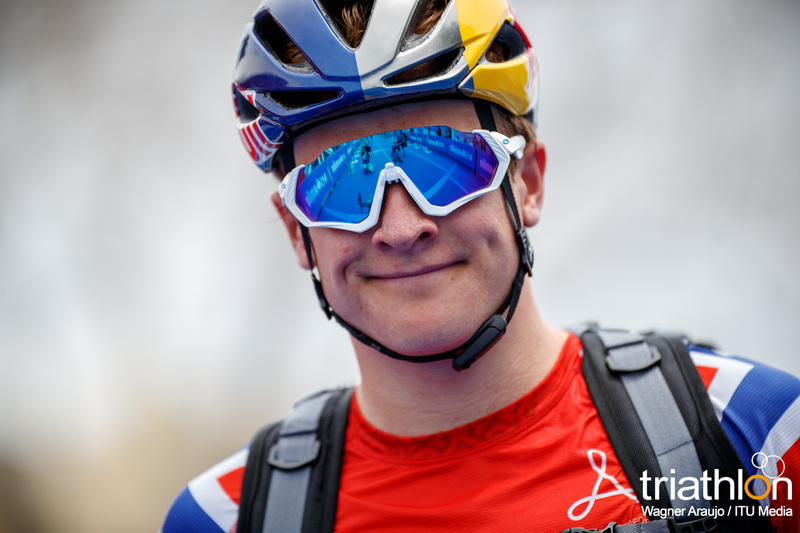 Having ridden solo for more than 30 kilometres, however, the real test for the Norwegian’s legs awaited: whether he had kept enough in reserve to ward off the challengers gunning for gold. 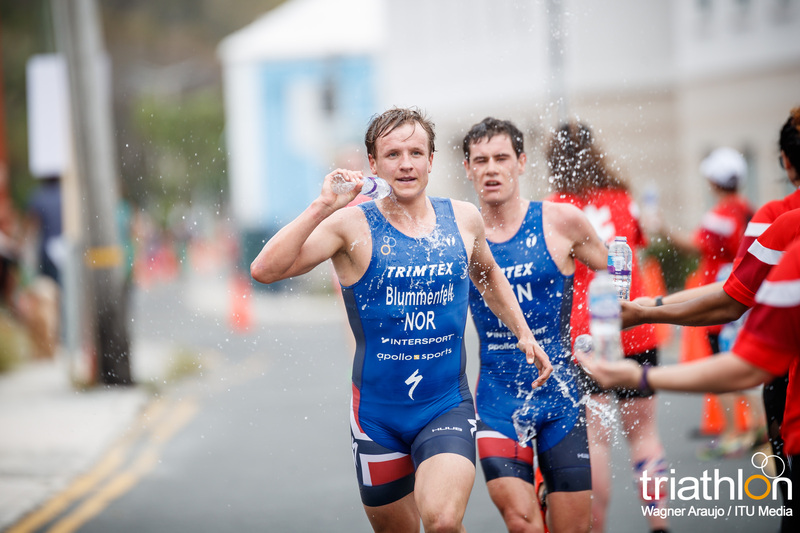 Right before the transition zone, Blummefelt and Iden made their last-minute push to gain some space upon entering the run. 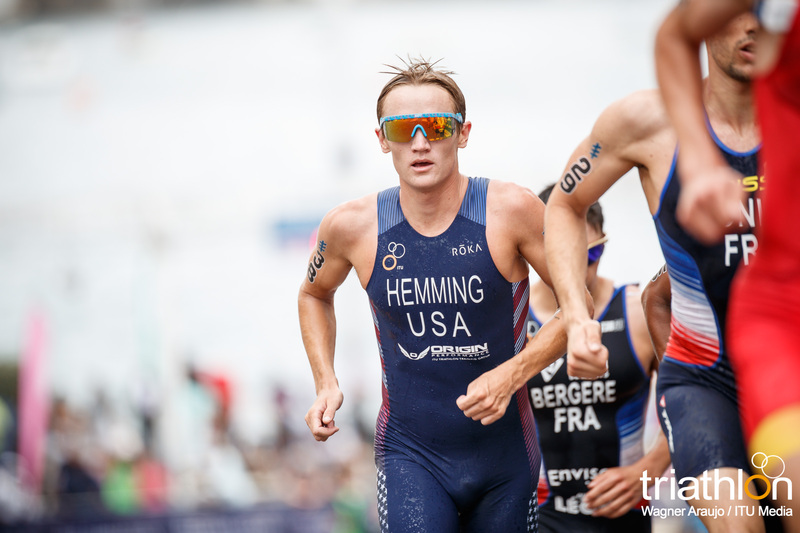 The duo caught up with Schilling and had soon passed him as the runners found their rhythm. 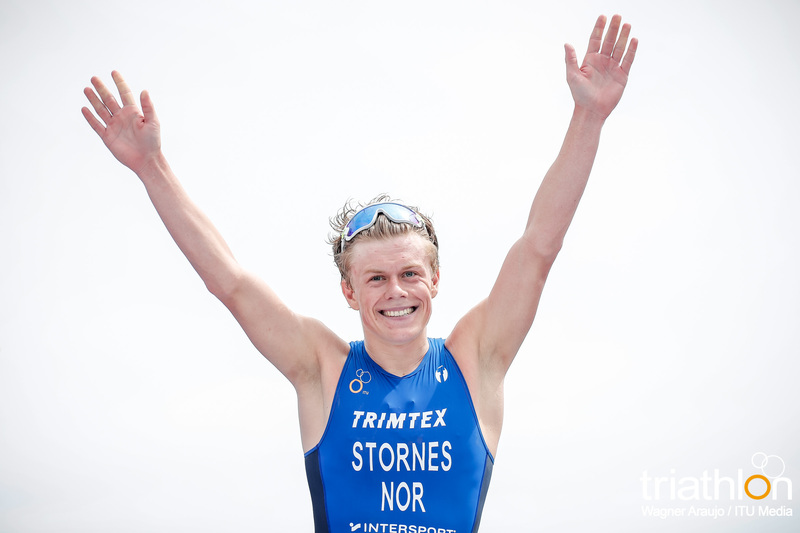 Still Stornes had the buffer of an 80-second lead. 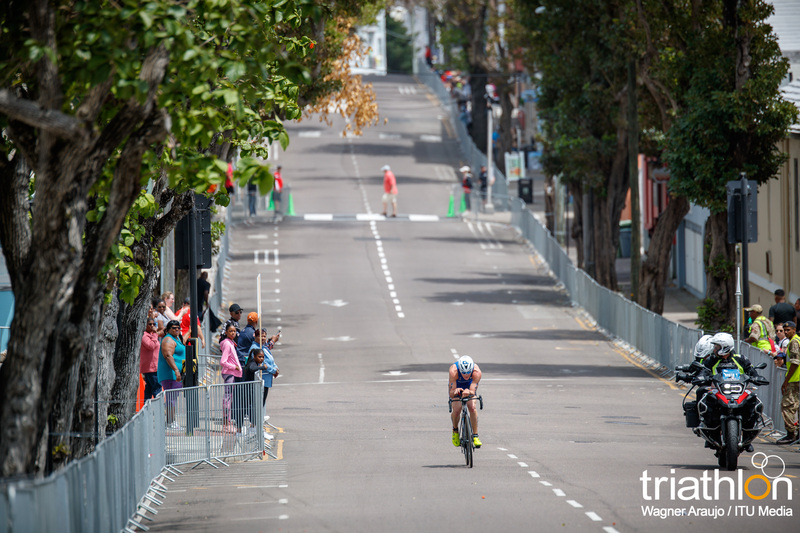 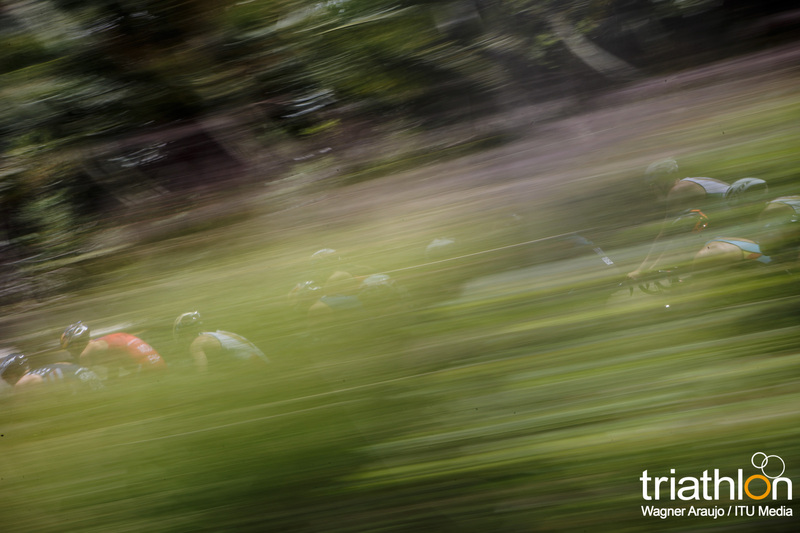 His aggression on the bike had paid off and he never looked like losing the lead. 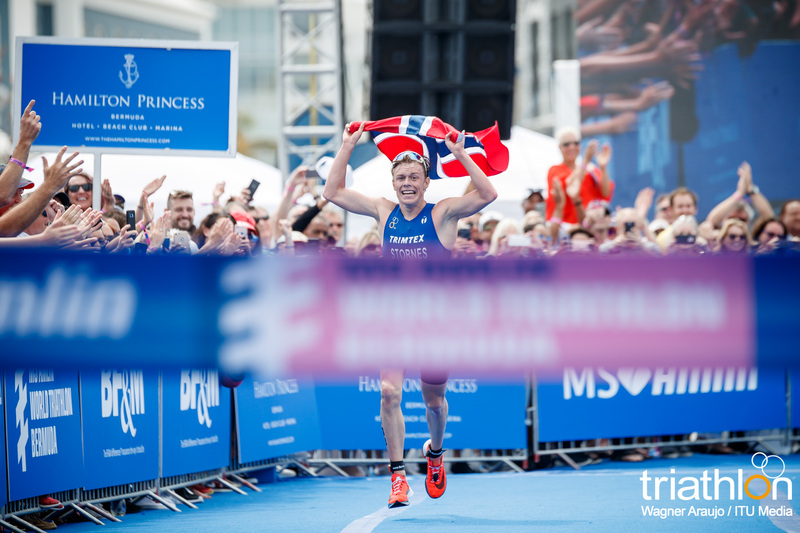 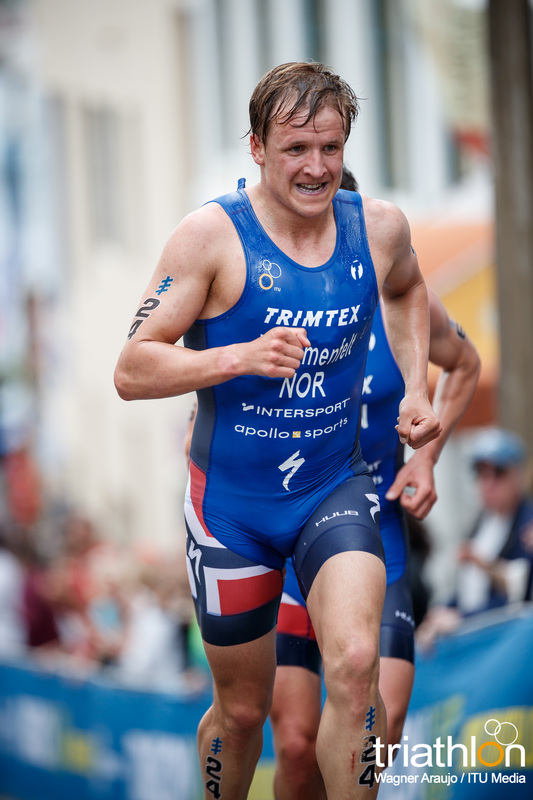 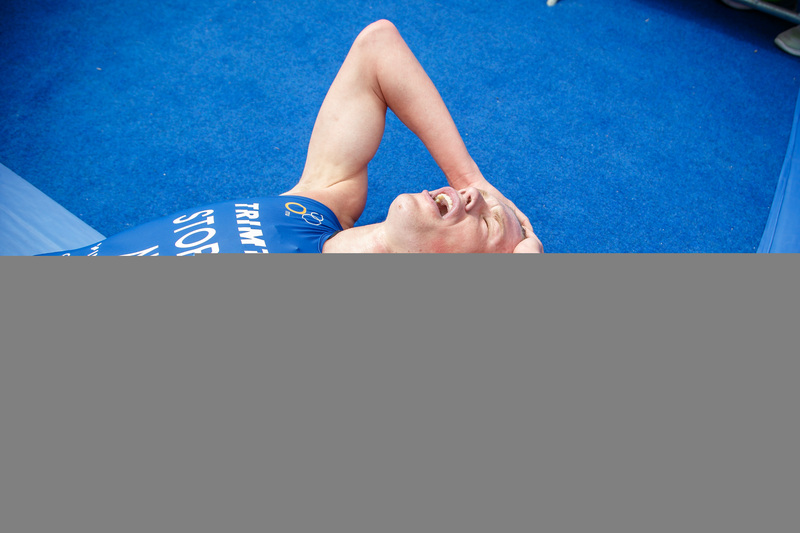 With the Norway flag in hand, he ran into the finish chute to claim his and his country’s first-ever WTS gold. 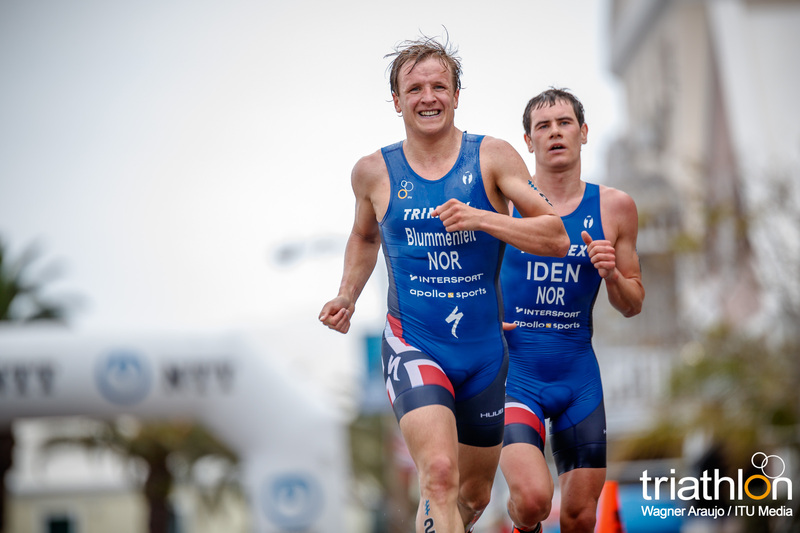 Blummenfelt and Iden then completed the puzzle to finish off the historic clean-sweep for the first time ever in a men’s WTS race. 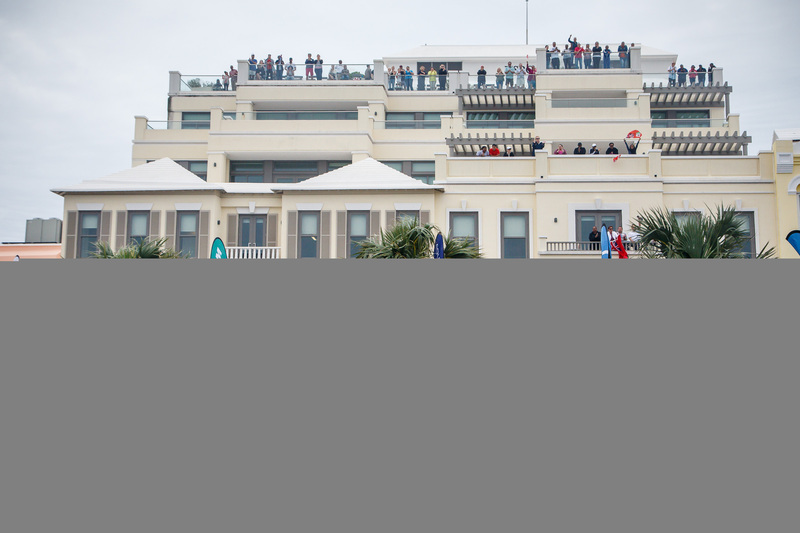 Mola delivered the fastest run time of the day, despite finishing just off the podium in fourth place. 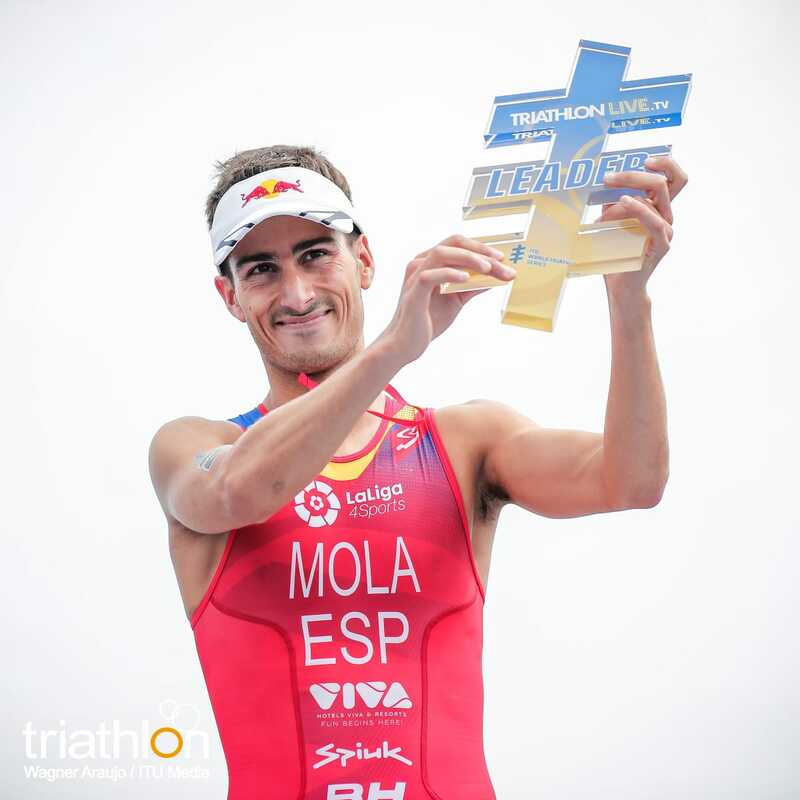 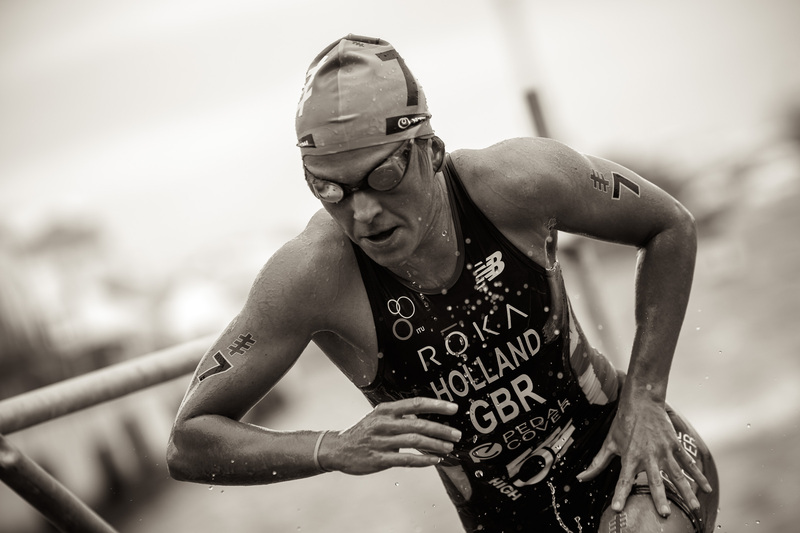 However, combined with his second-place finish in WTS Abu Dhabi, Mola became the new 2018 Series leader. 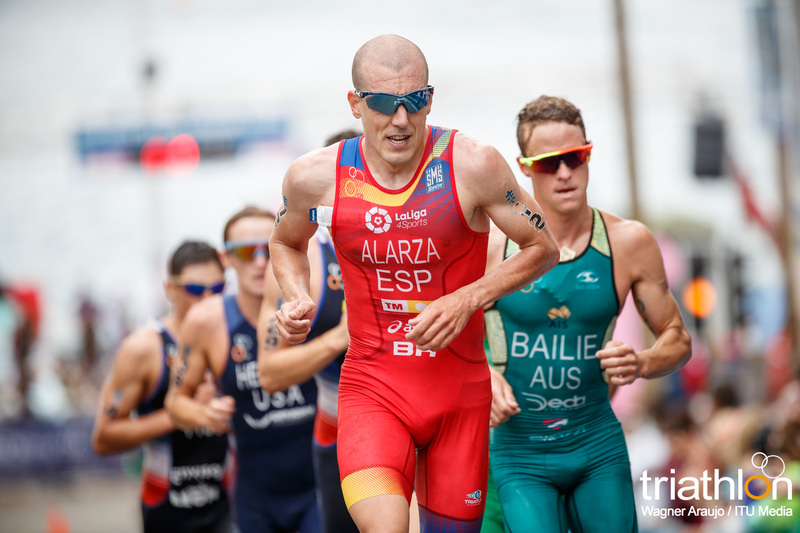 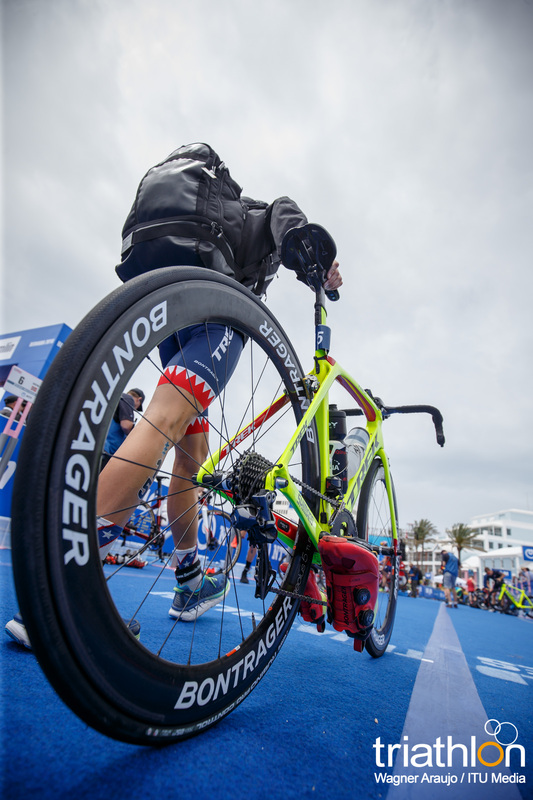 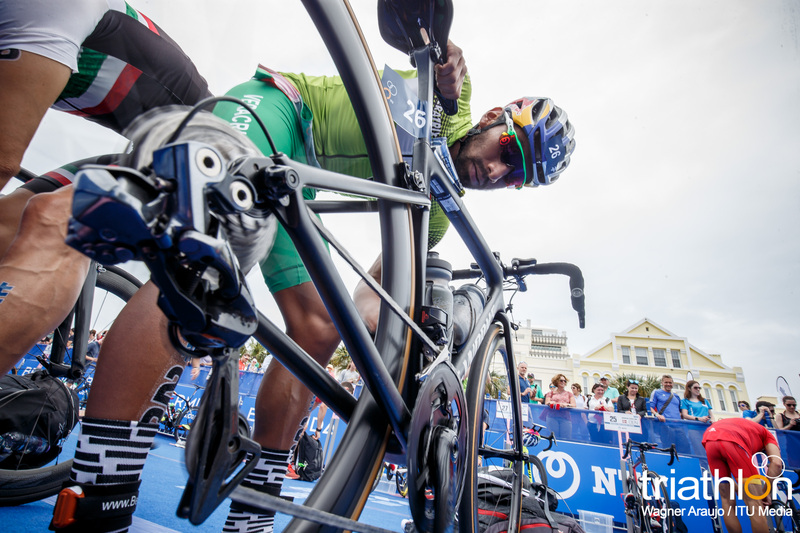 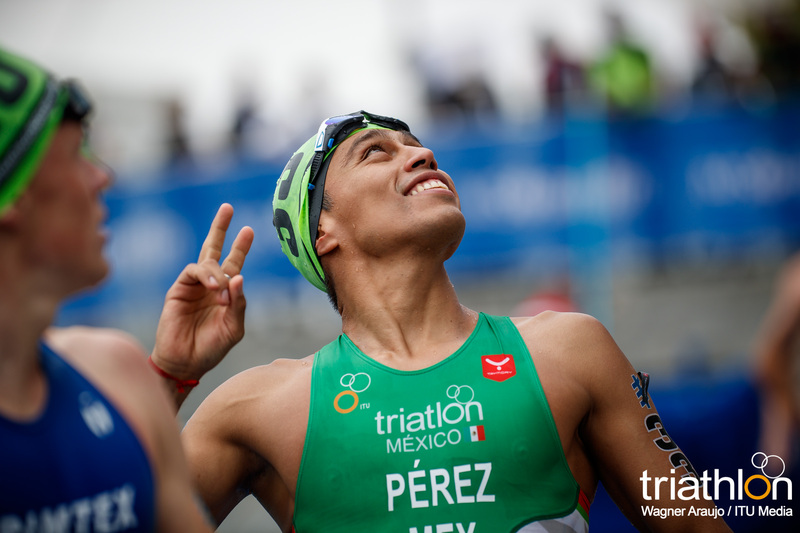 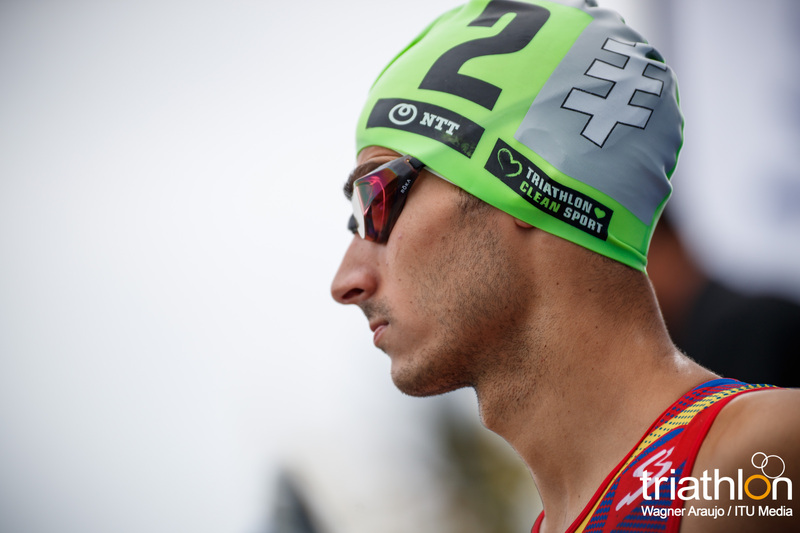 Another strong performance came from Mexico’s Rodrigo Gonzalez who, with a fifth-place result following a strong run section, earned the highest WTS finish of his career.